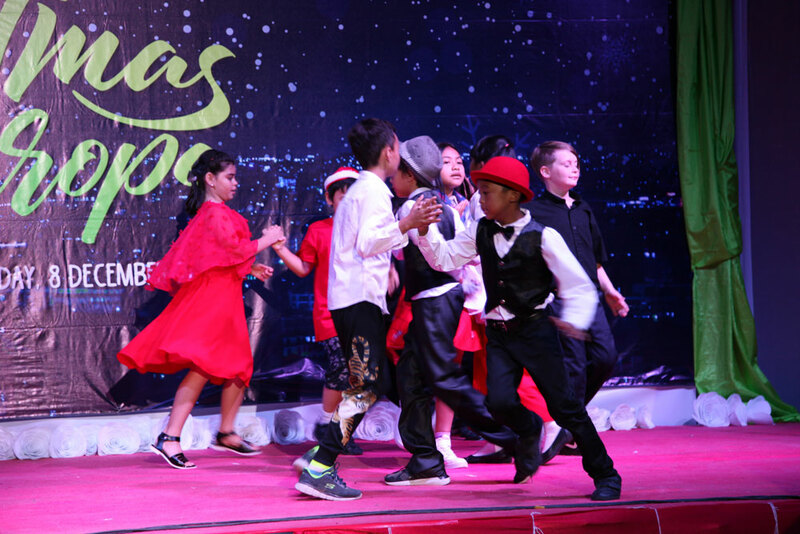 What a great evening of dance, music and laughter! 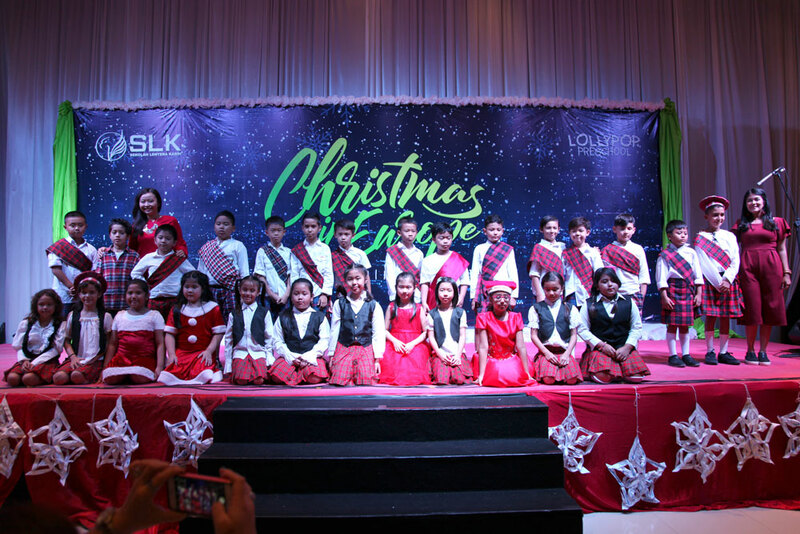 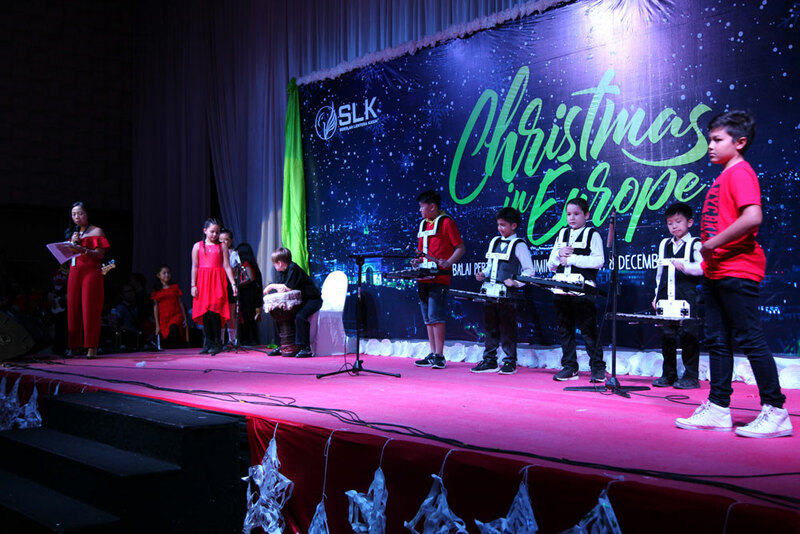 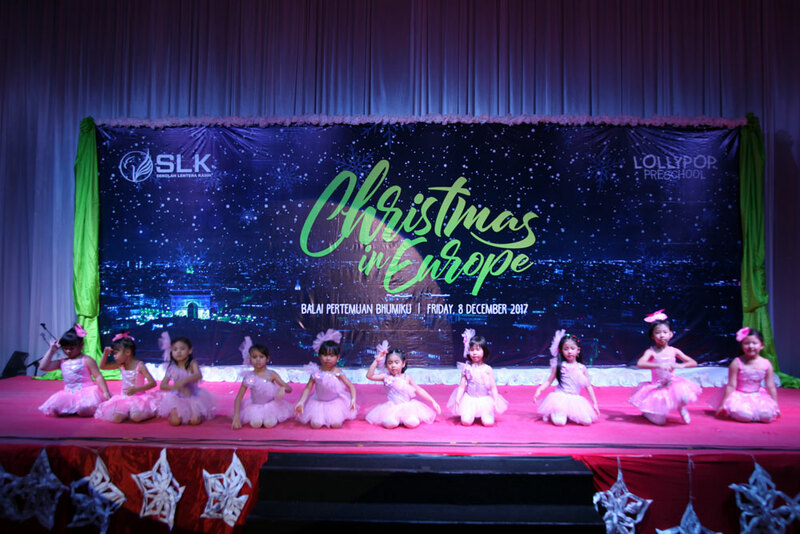 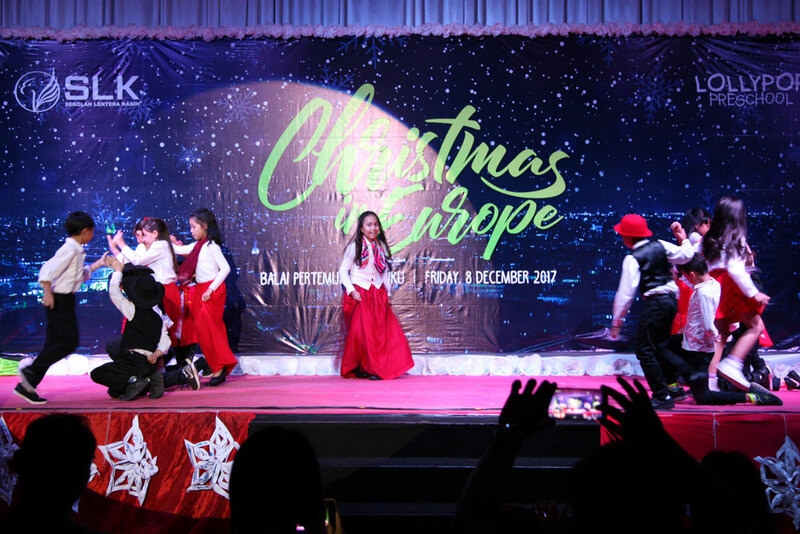 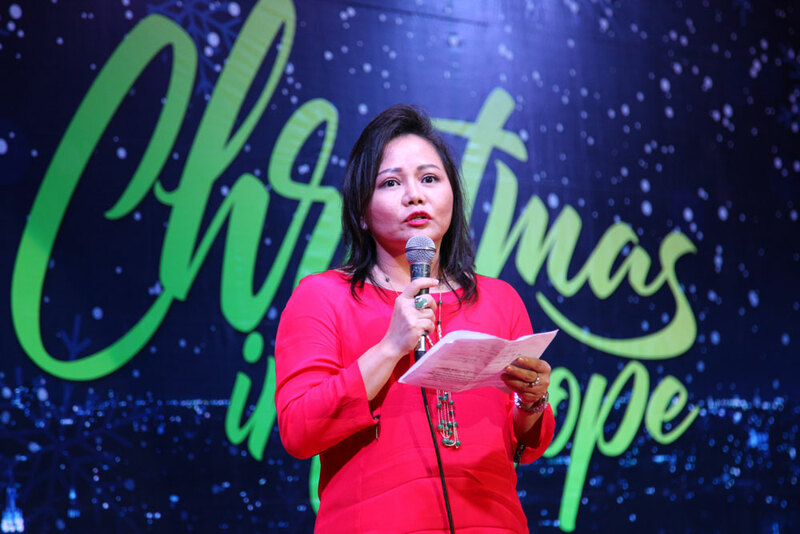 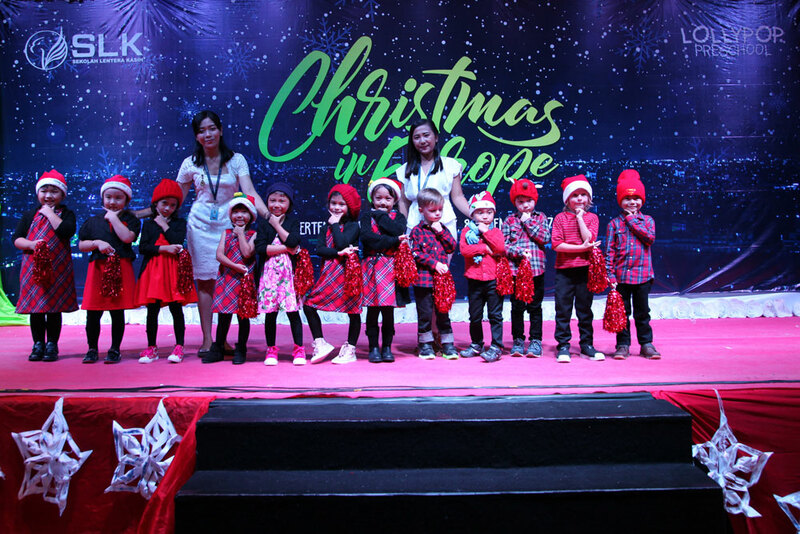 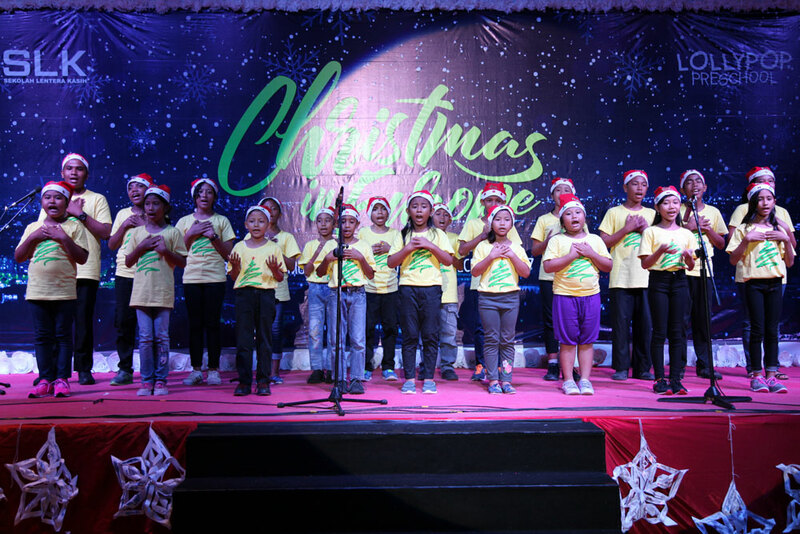 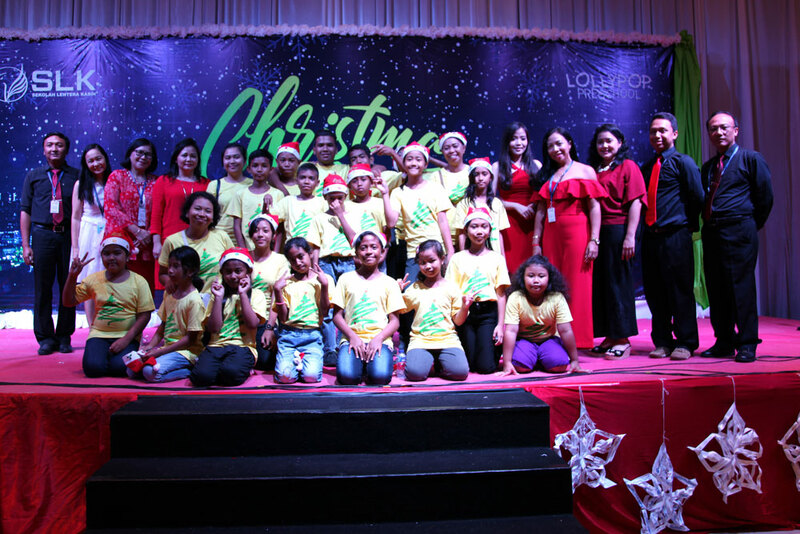 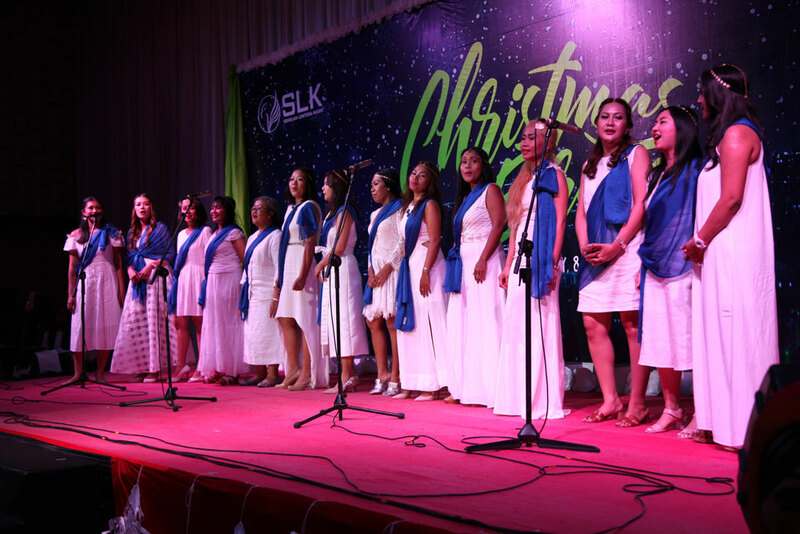 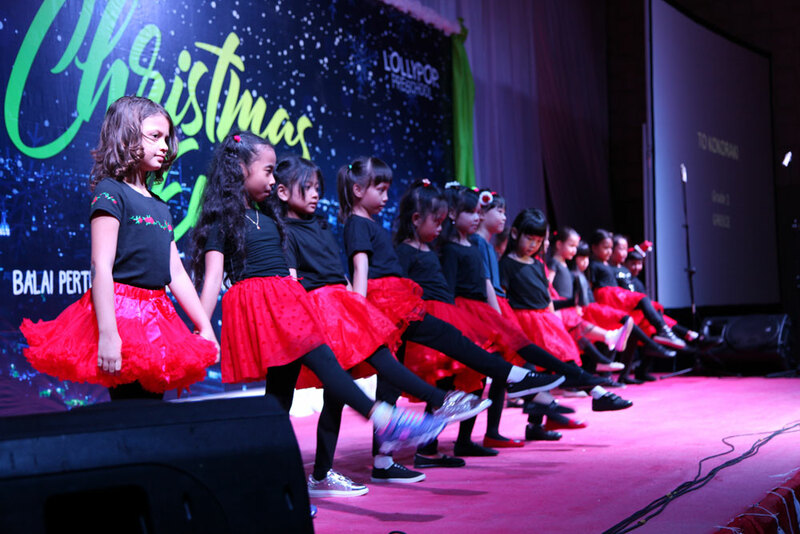 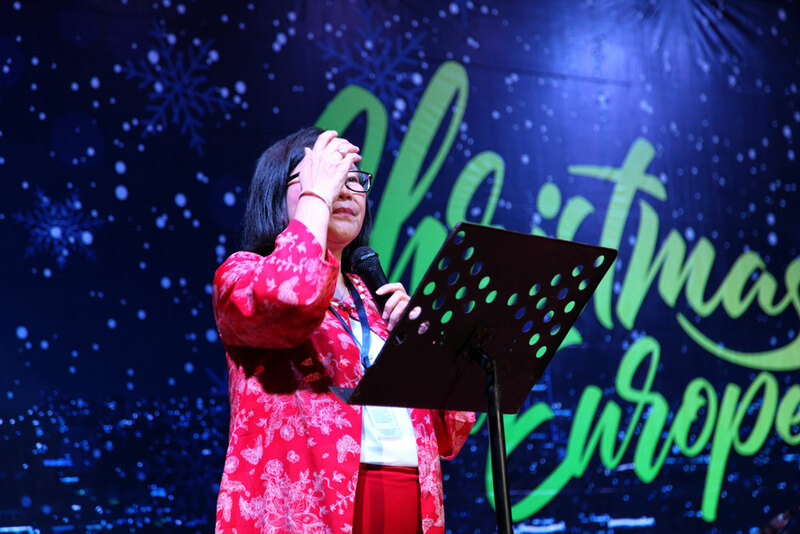 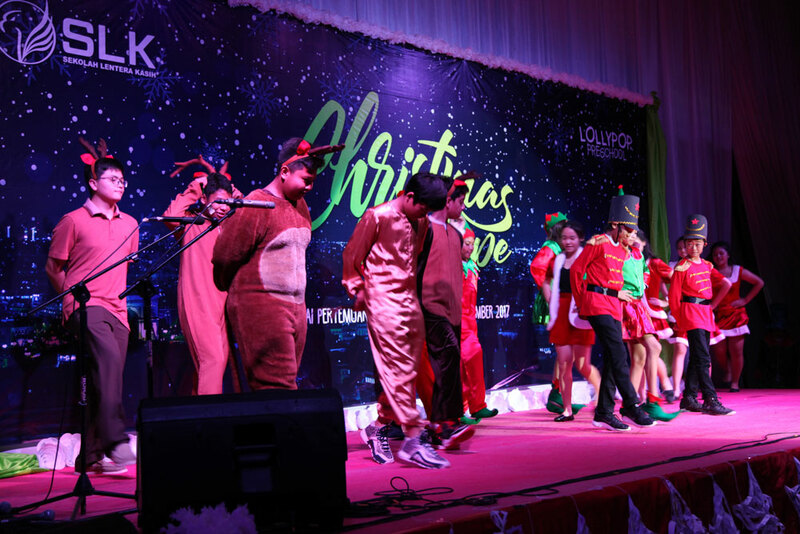 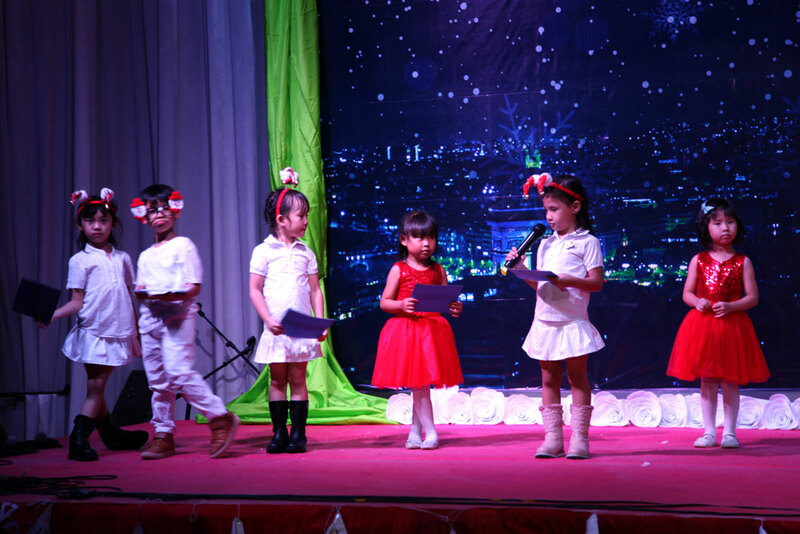 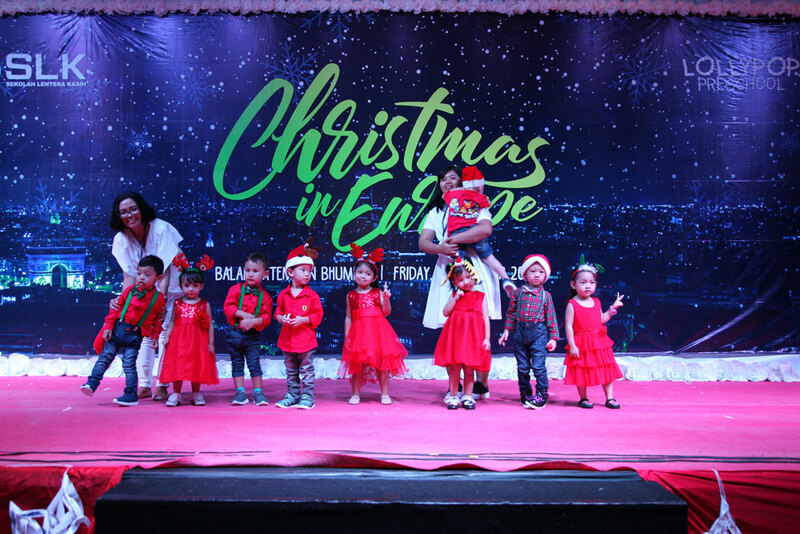 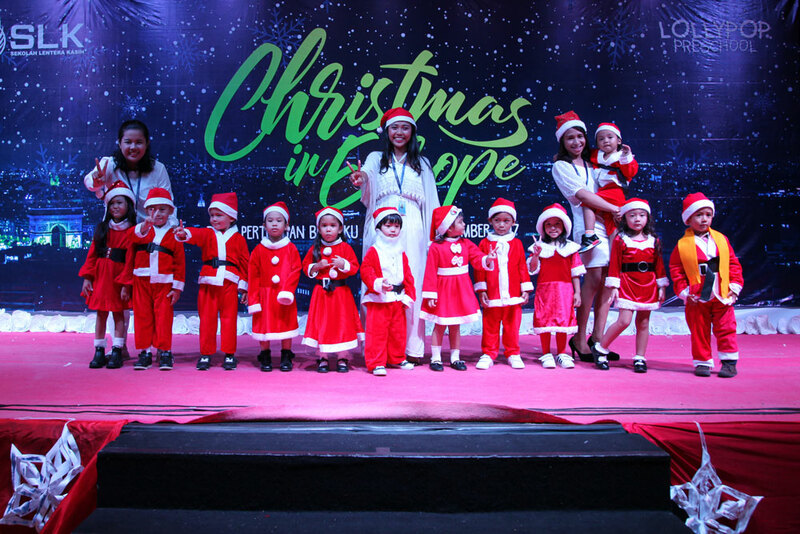 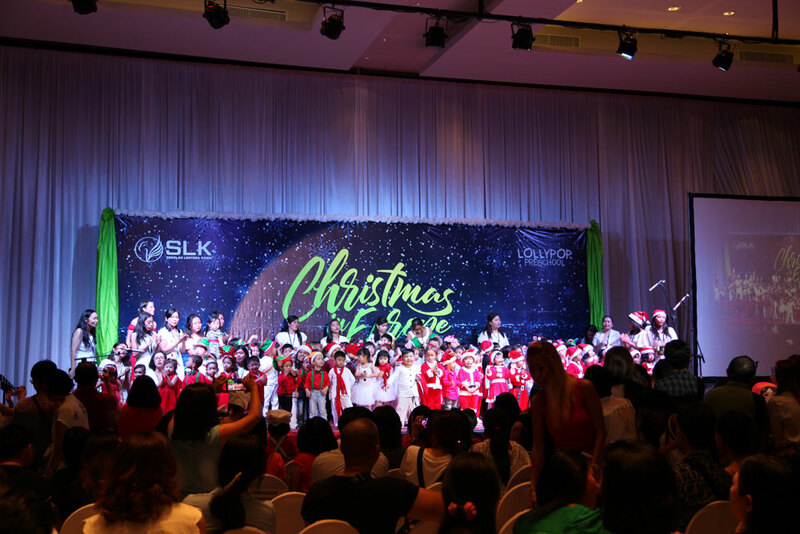 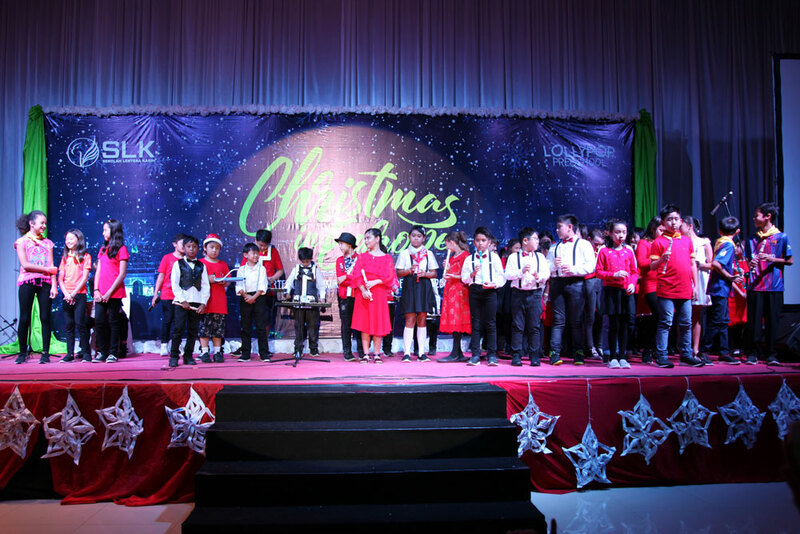 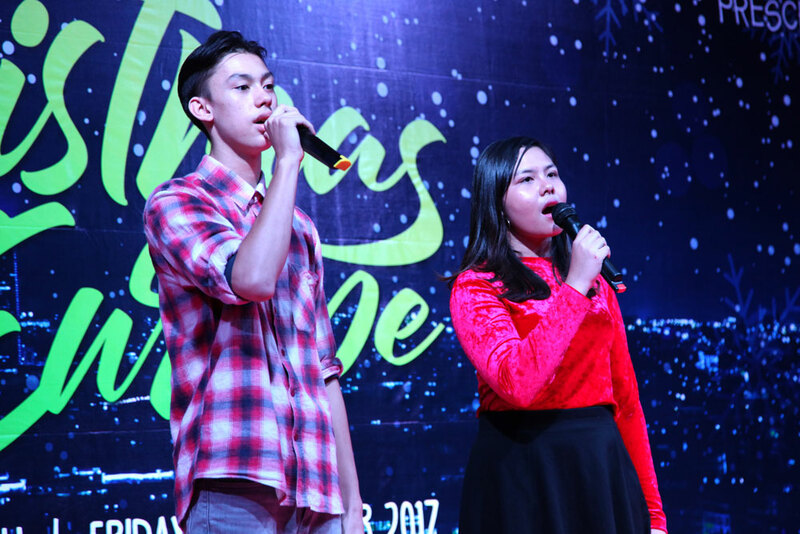 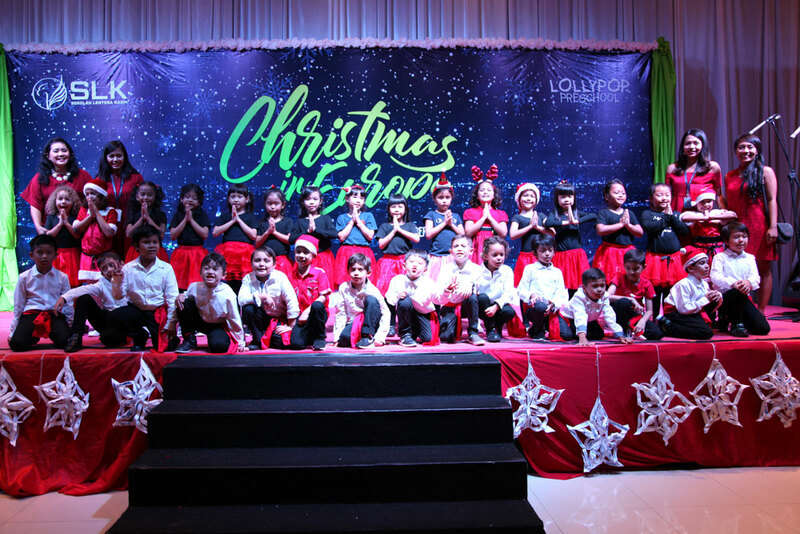 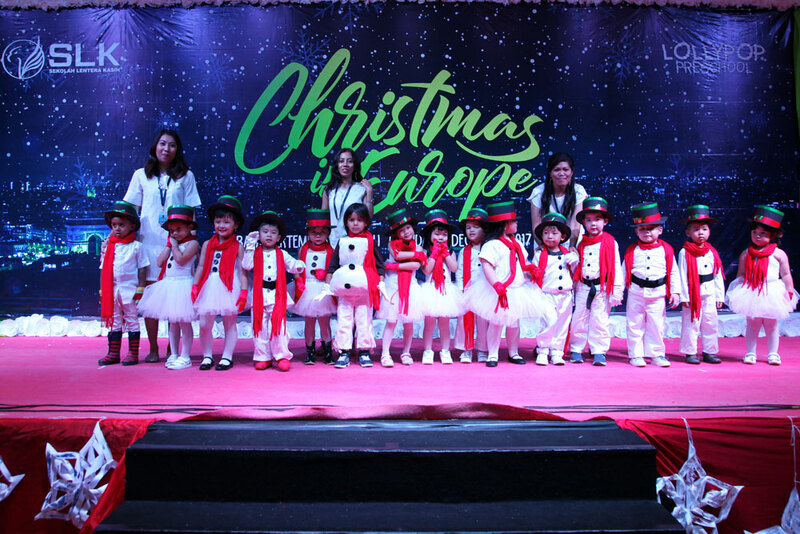 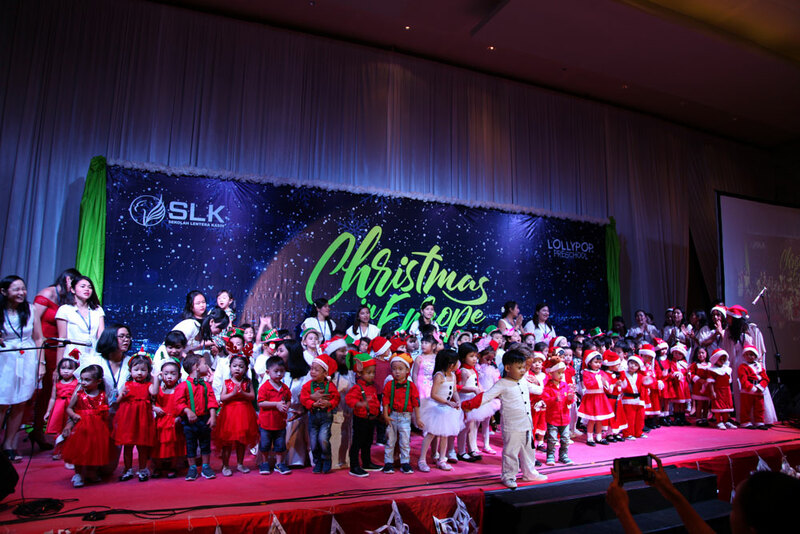 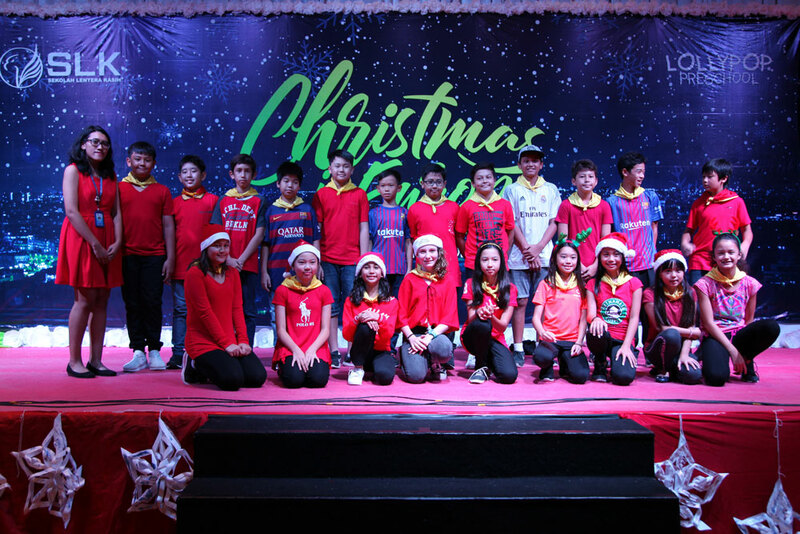 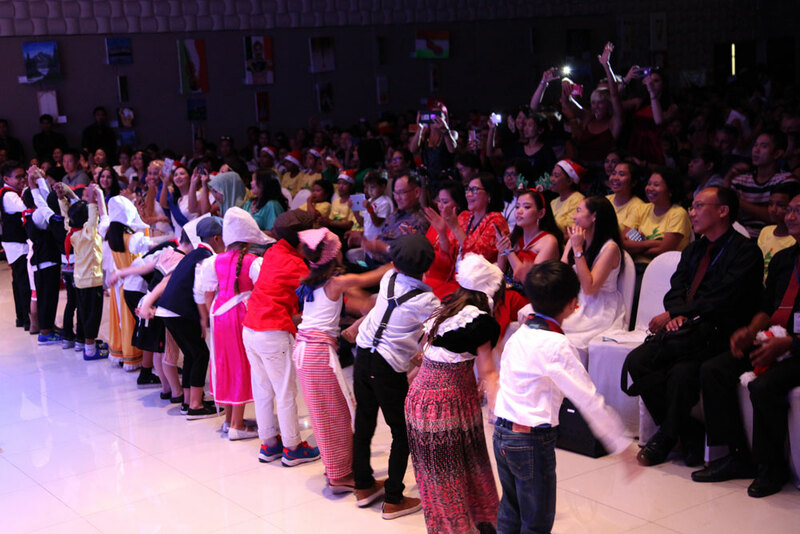 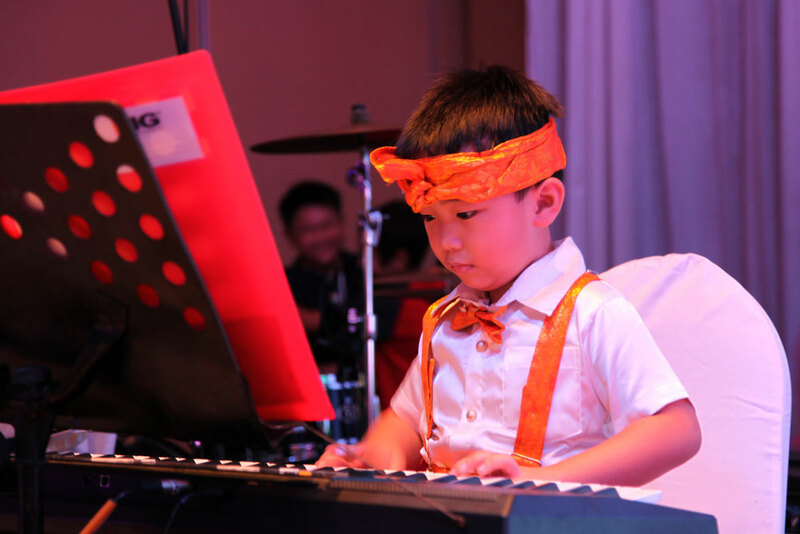 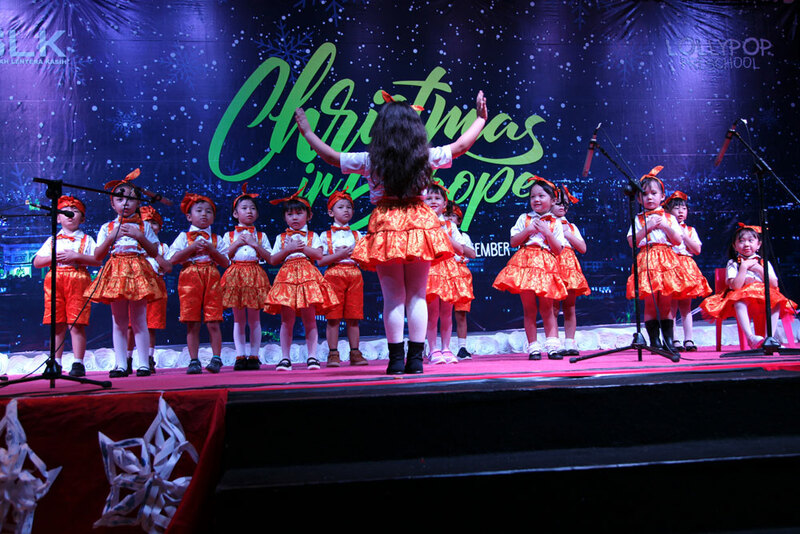 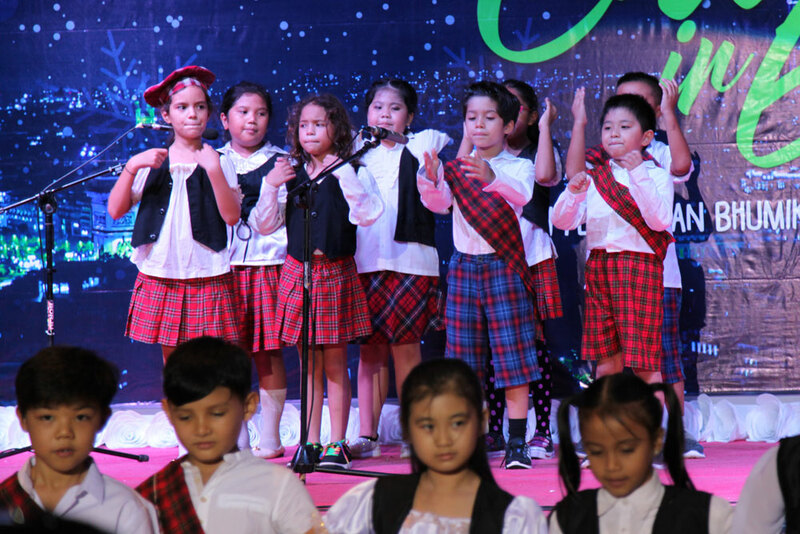 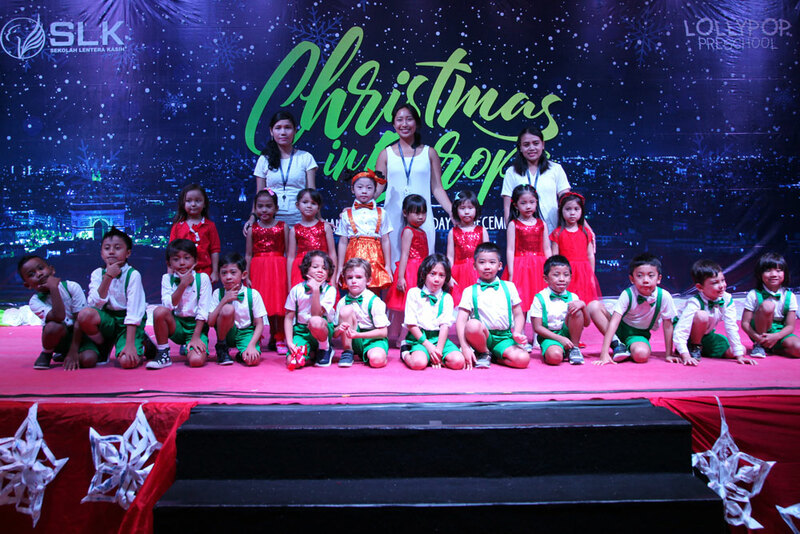 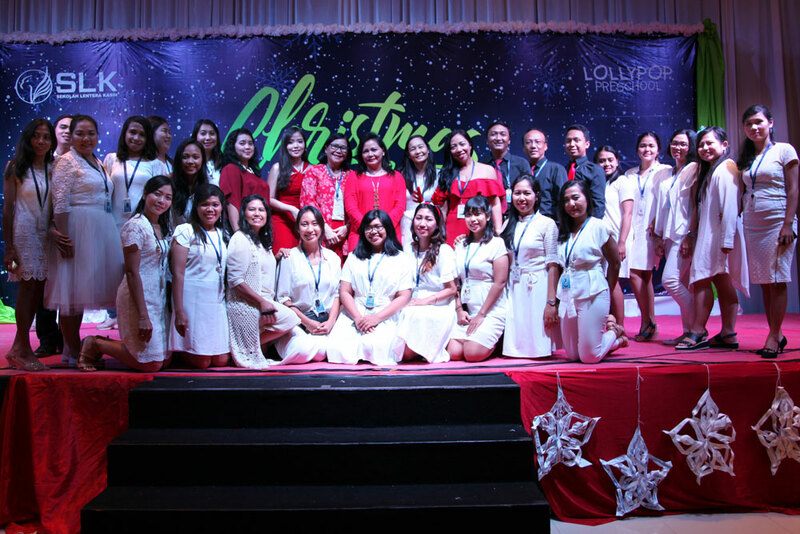 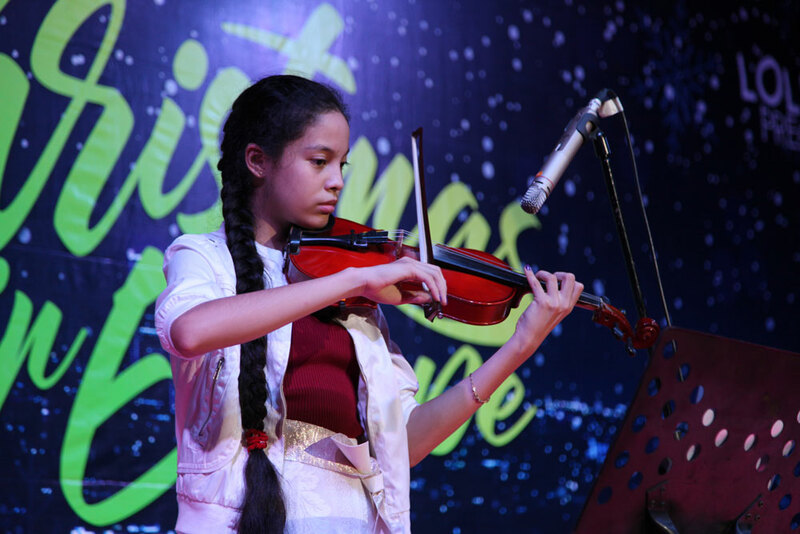 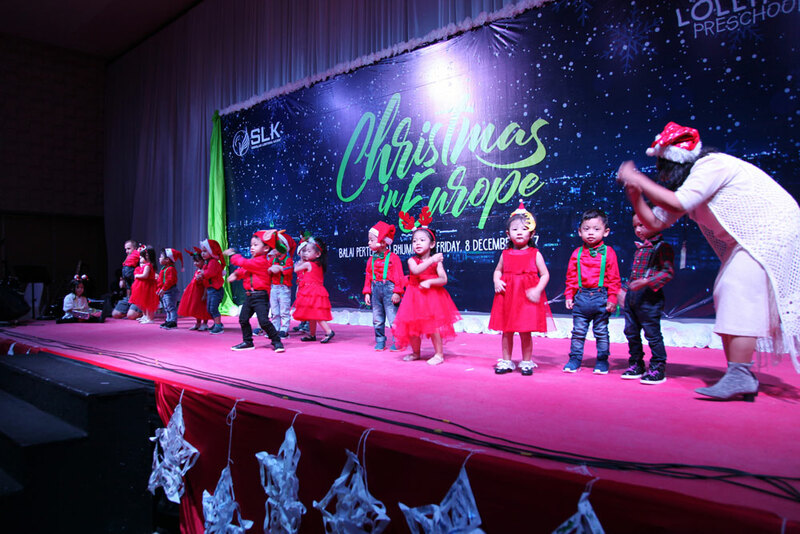 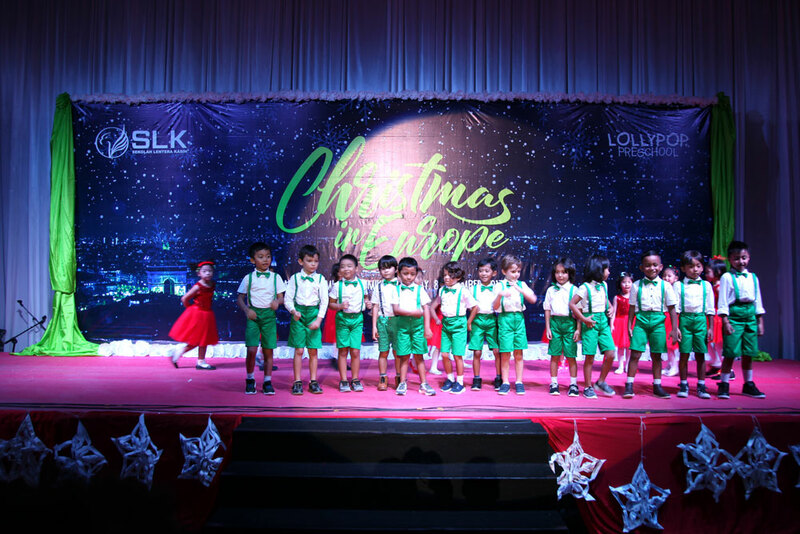 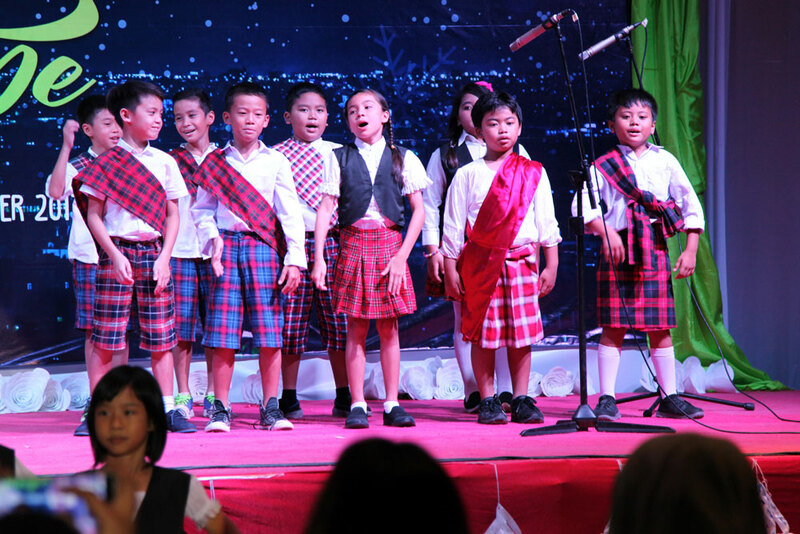 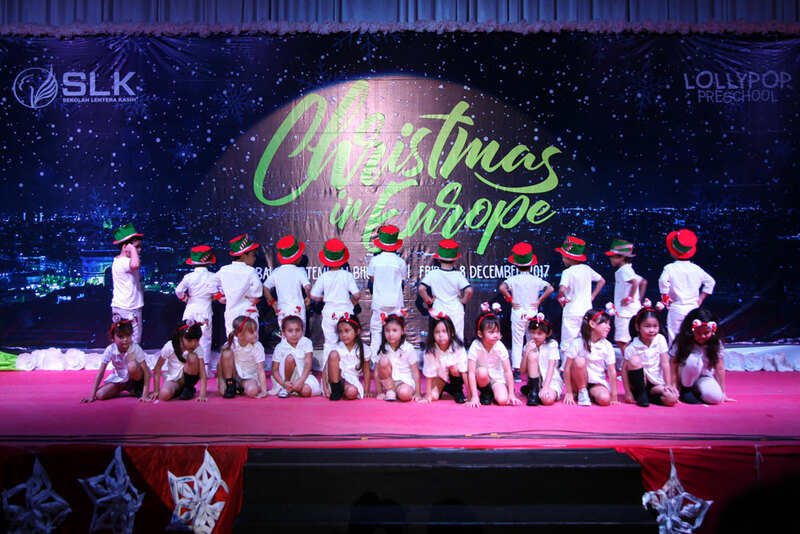 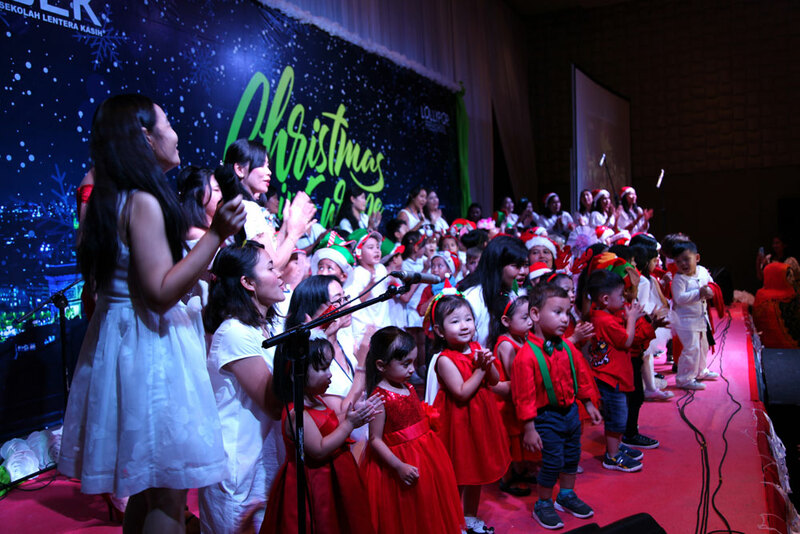 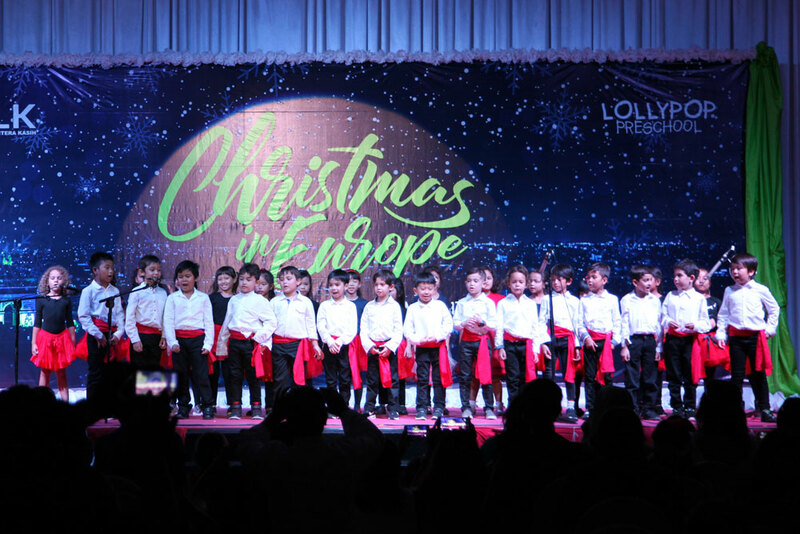 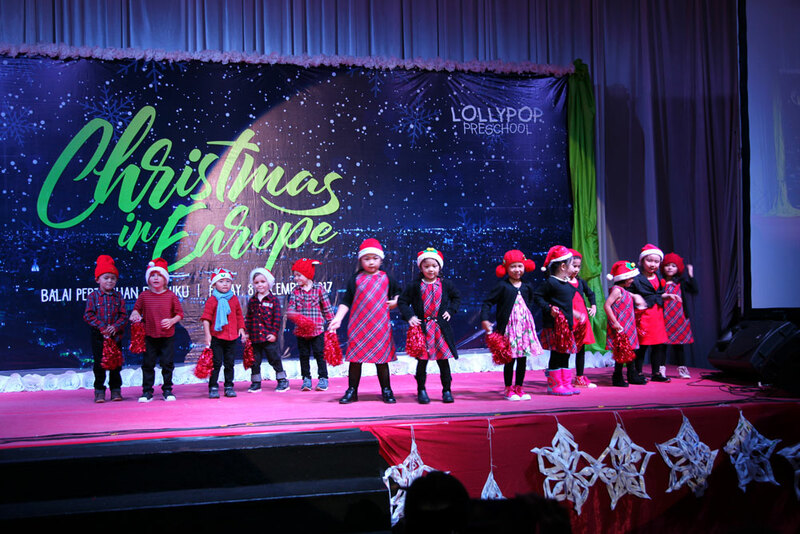 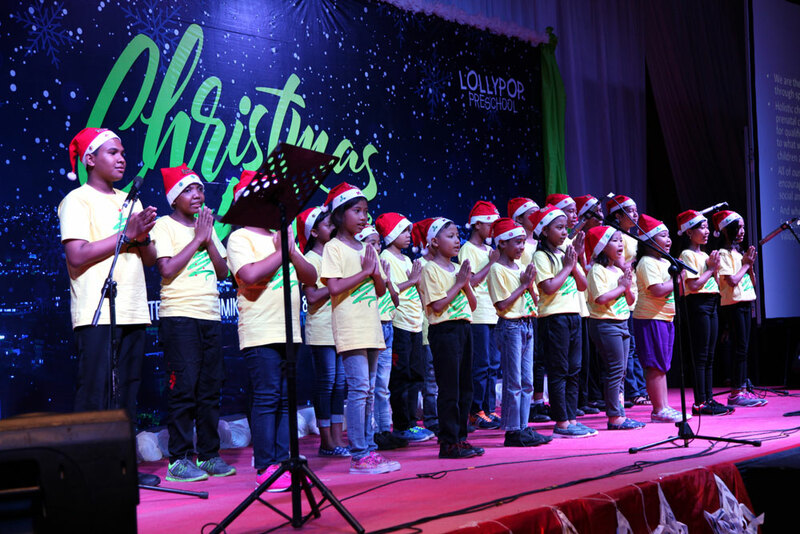 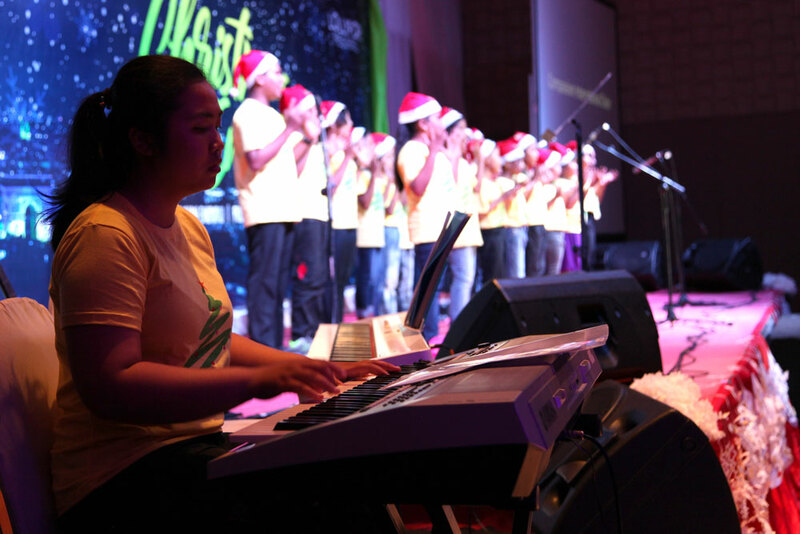 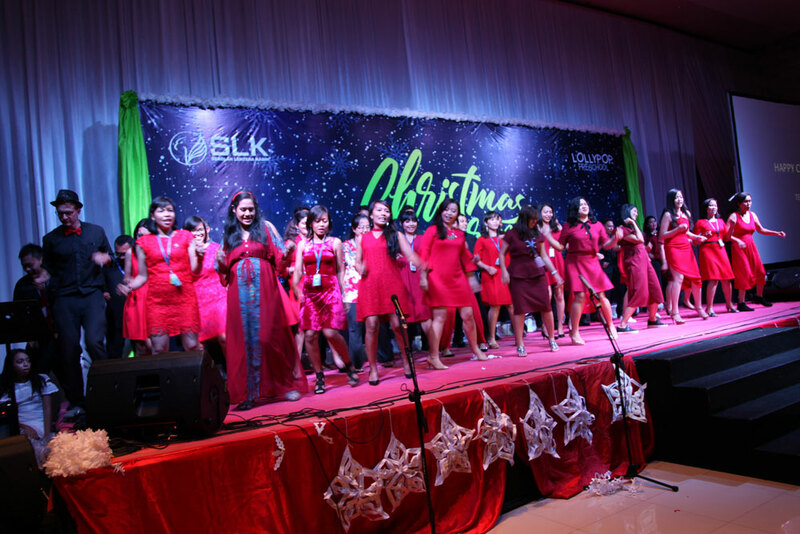 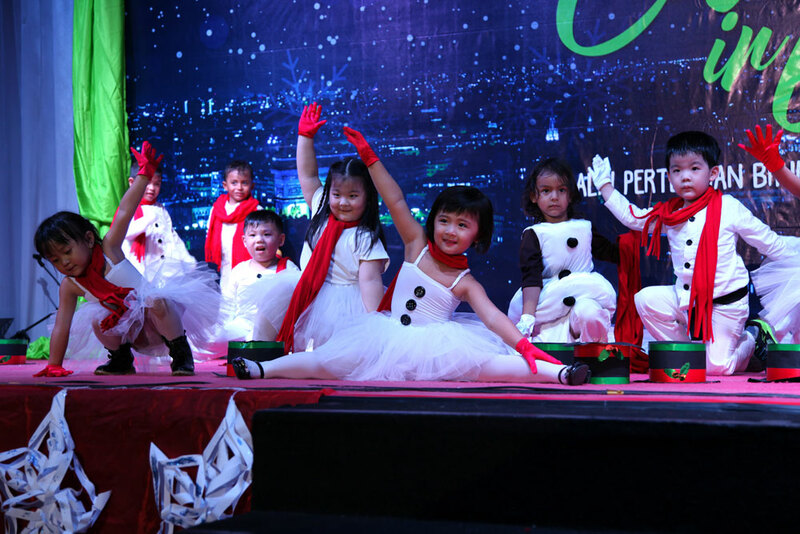 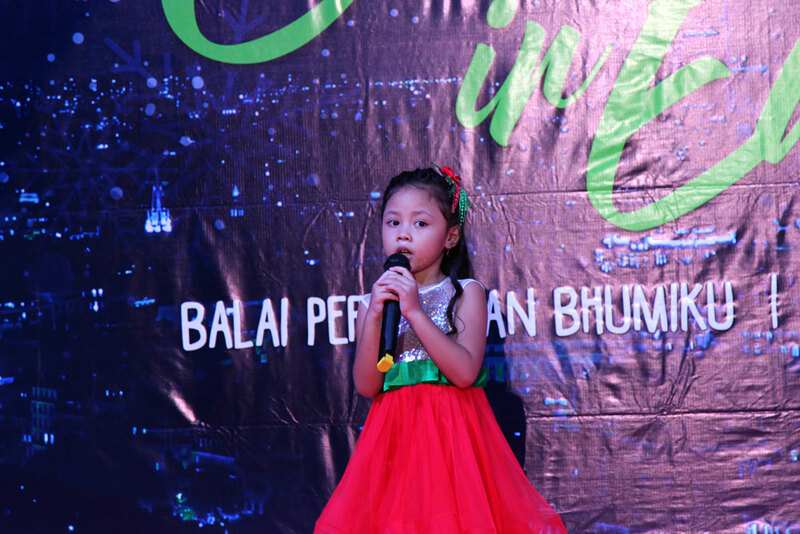 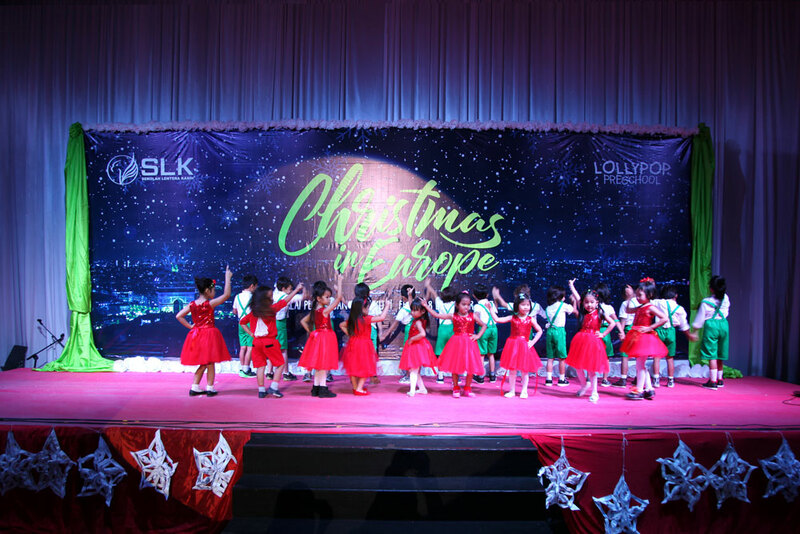 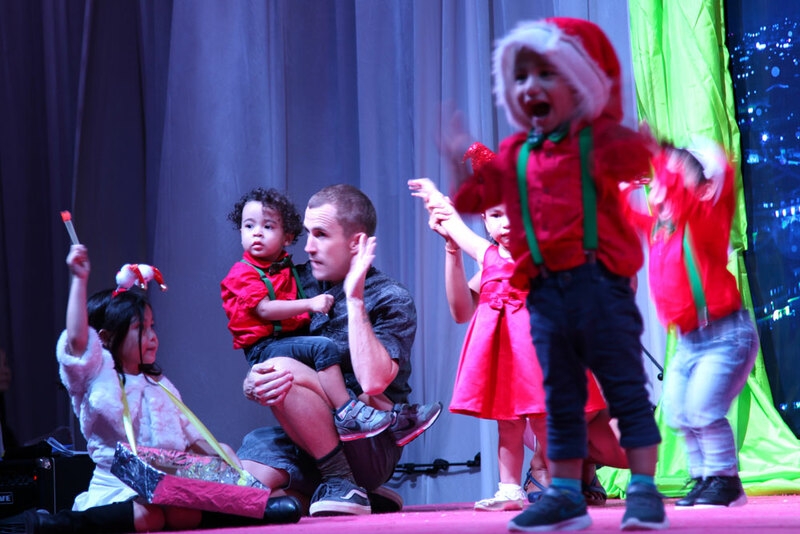 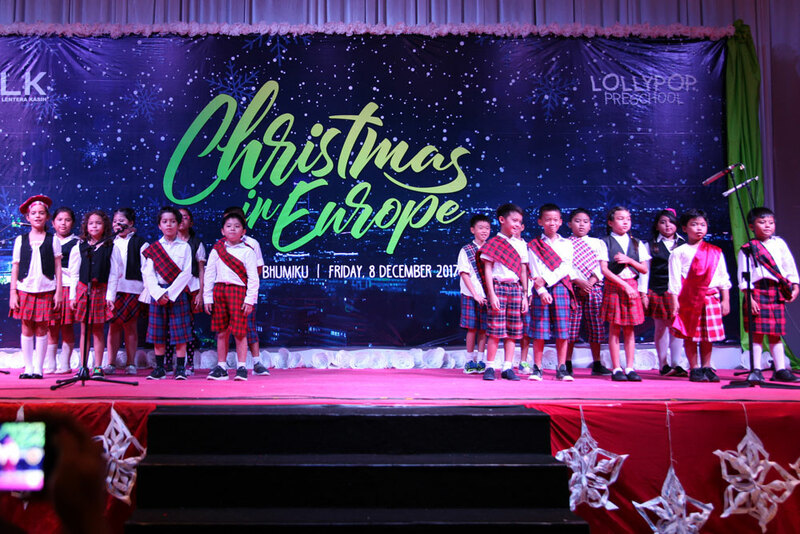 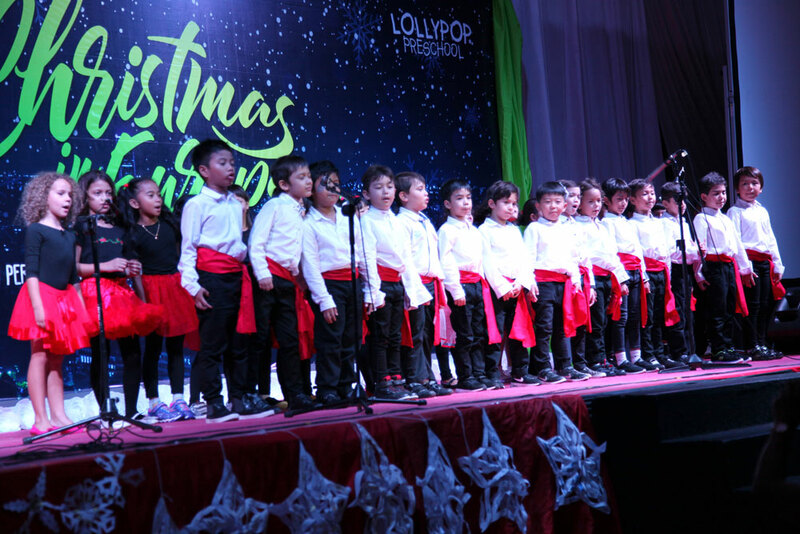 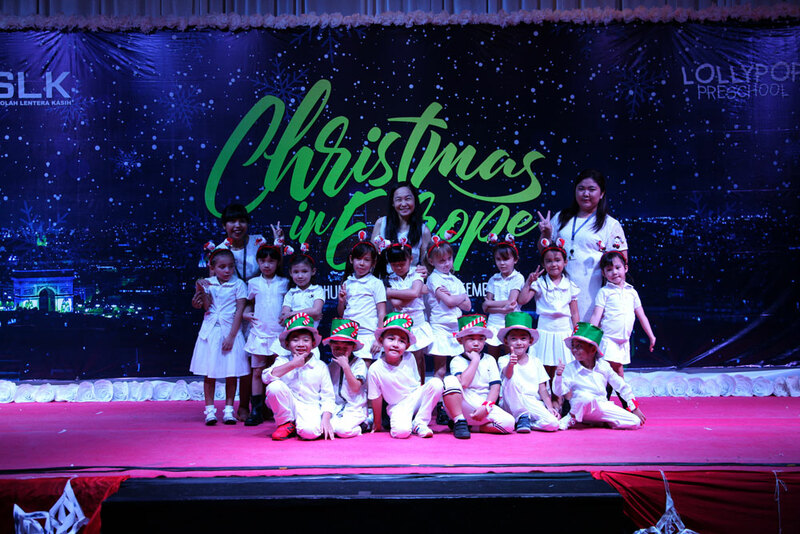 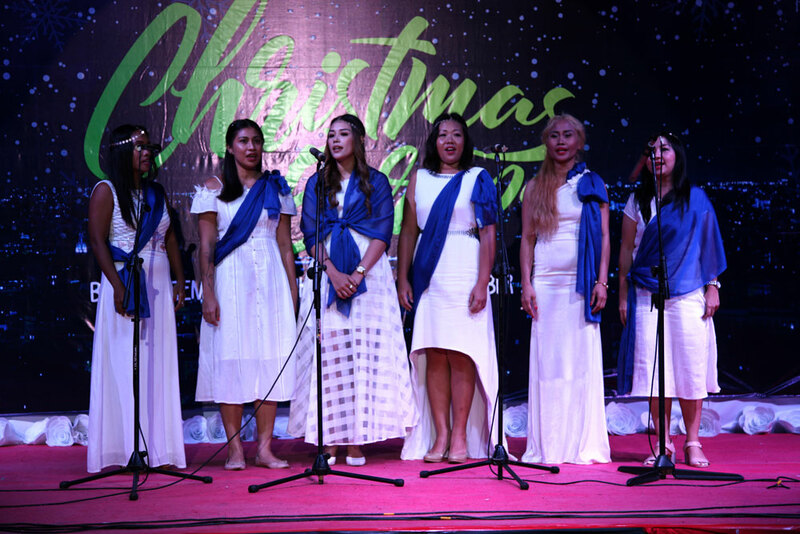 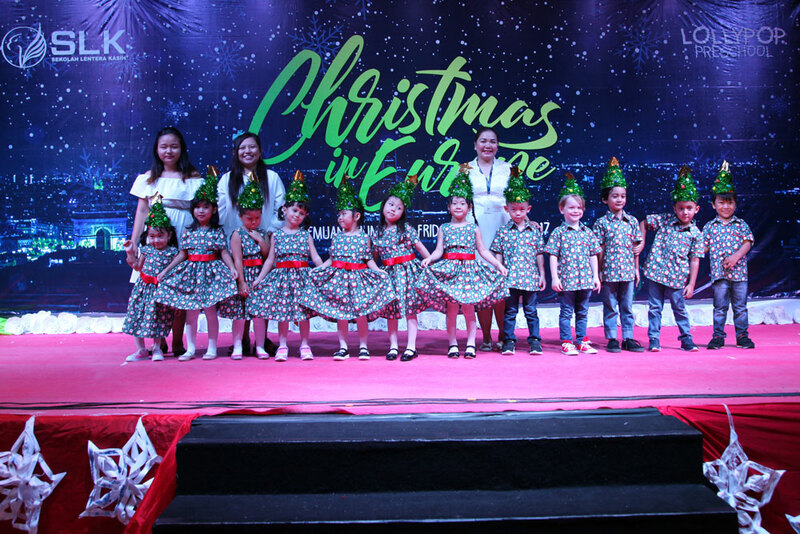 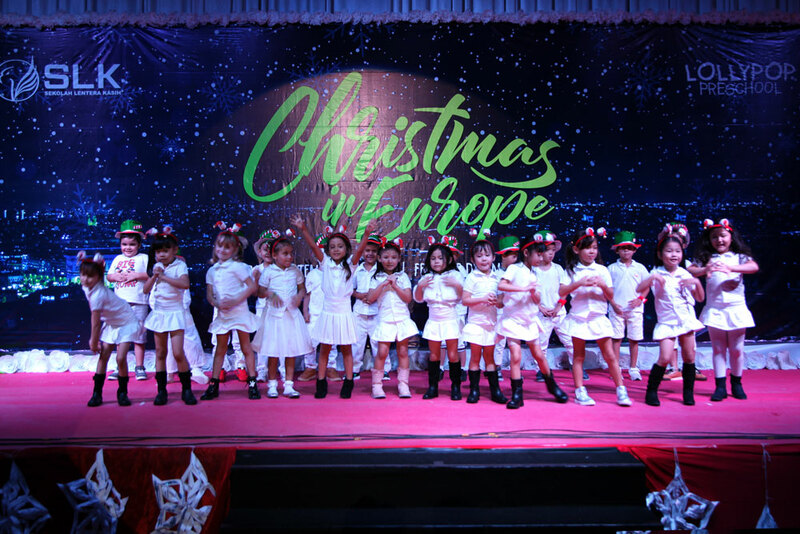 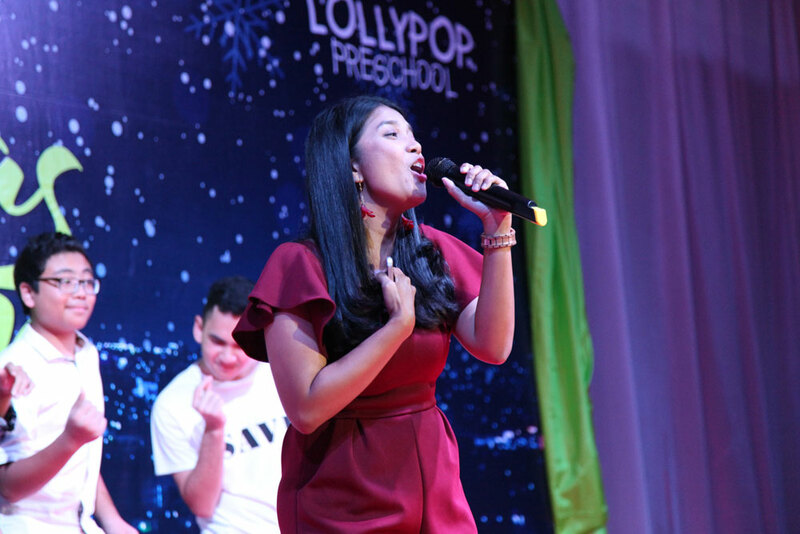 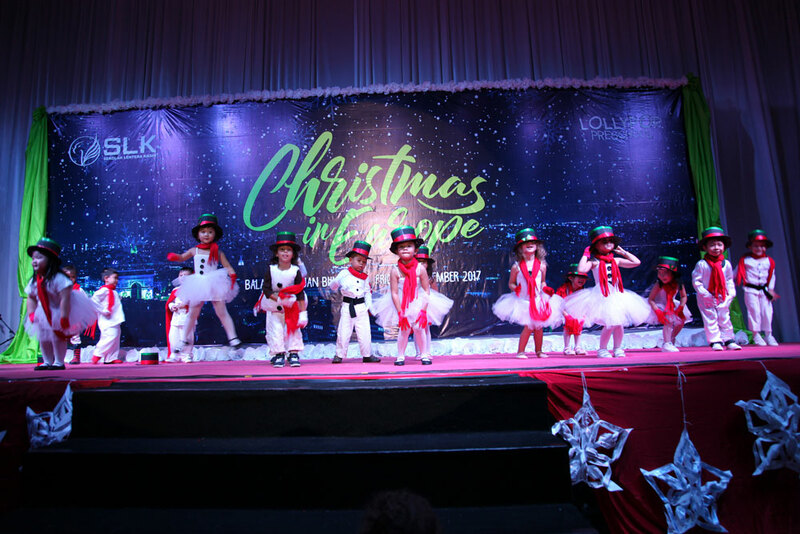 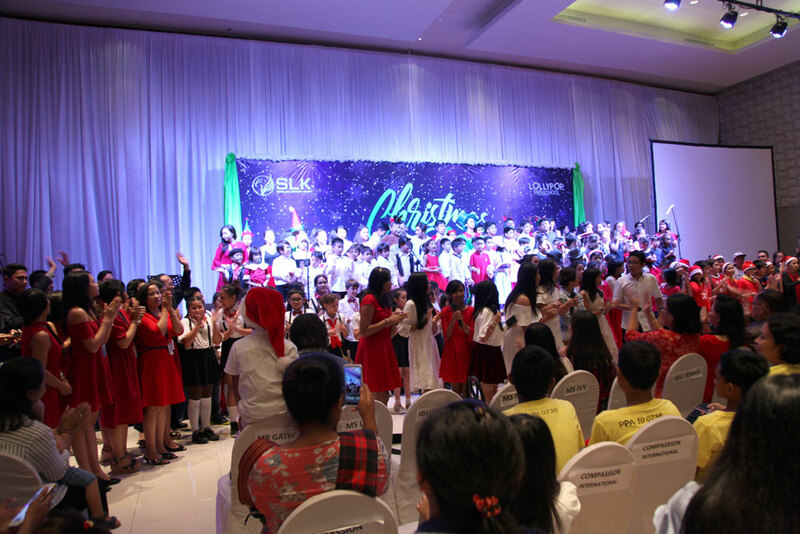 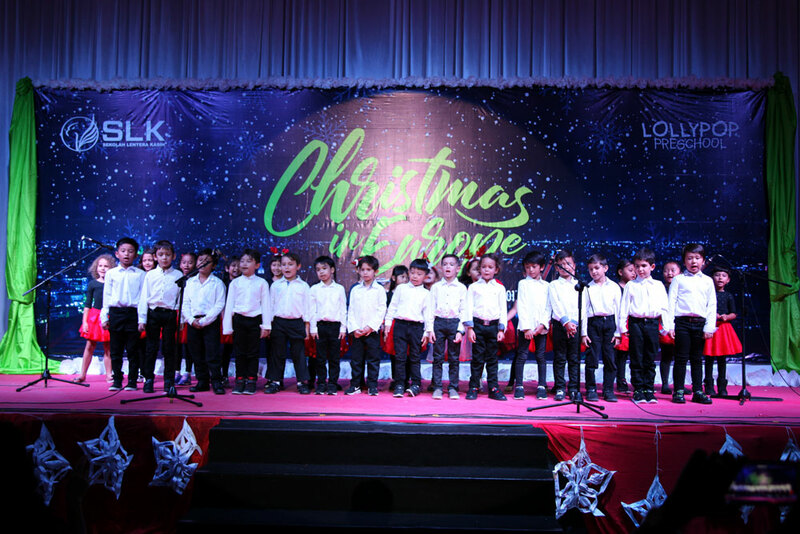 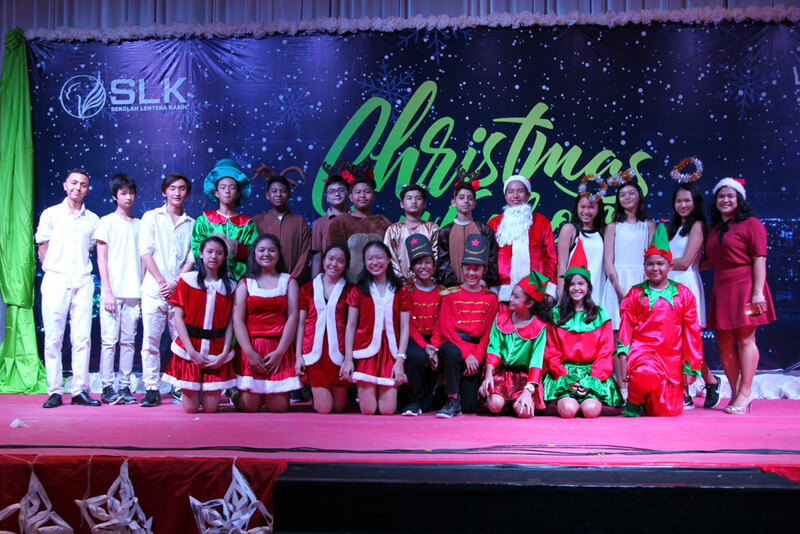 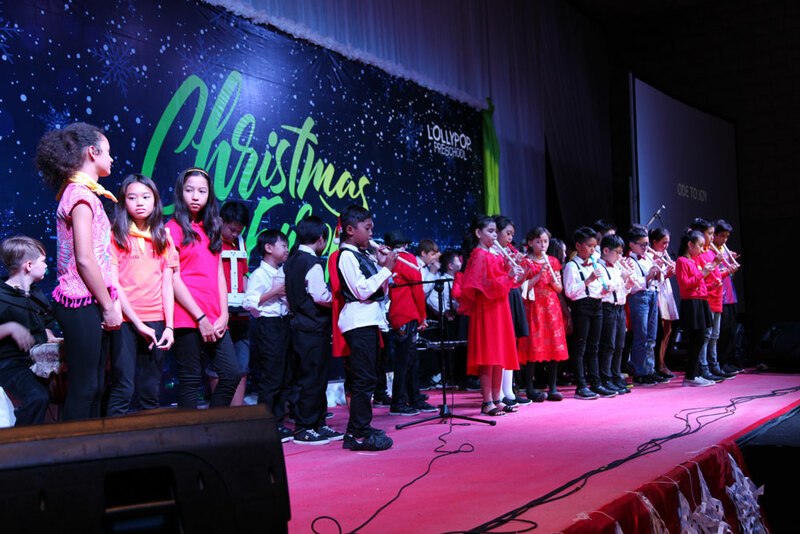 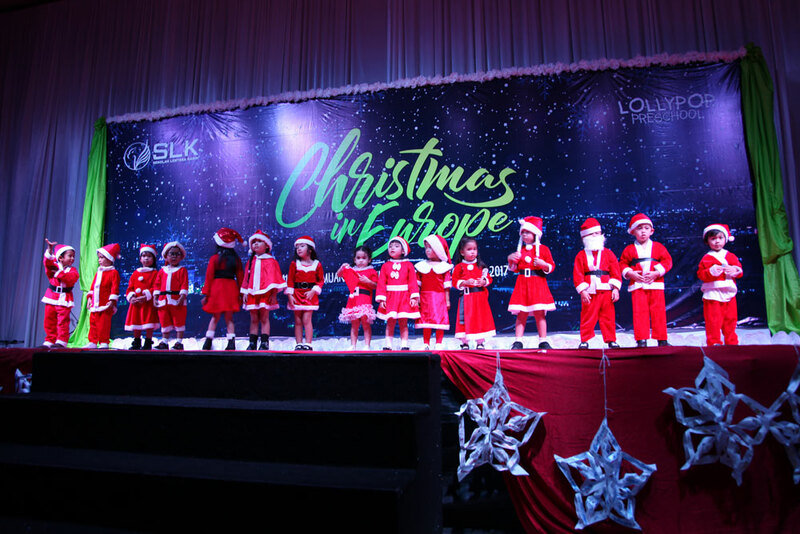 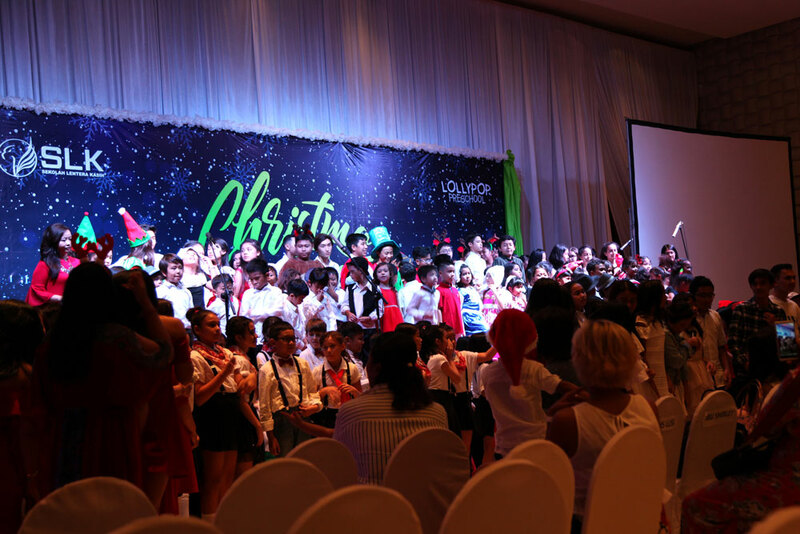 To celebrate Christmas, SLK and Lollpop Preschool held a Christmas Concert at Bhumiku last December 9, 2017. 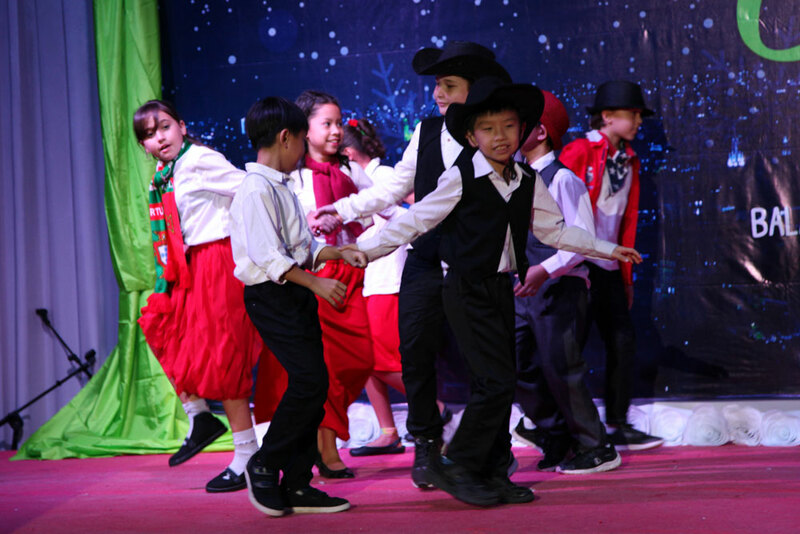 The celebration was divided into two parts. 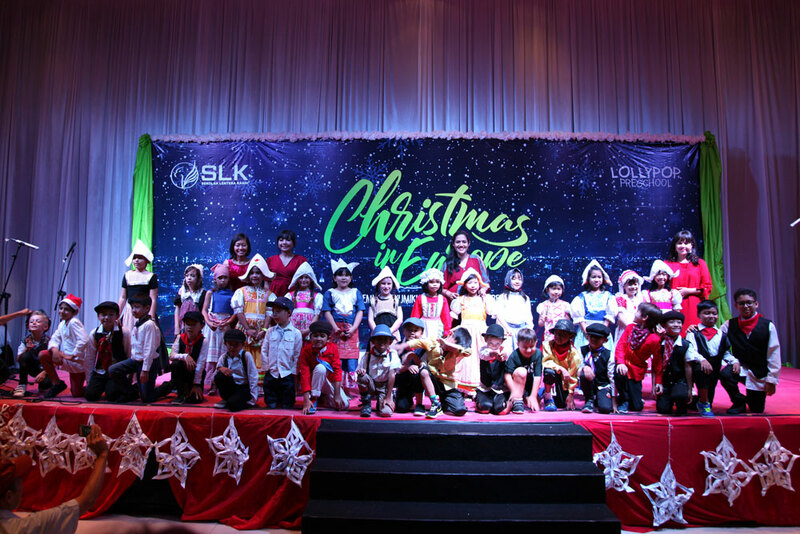 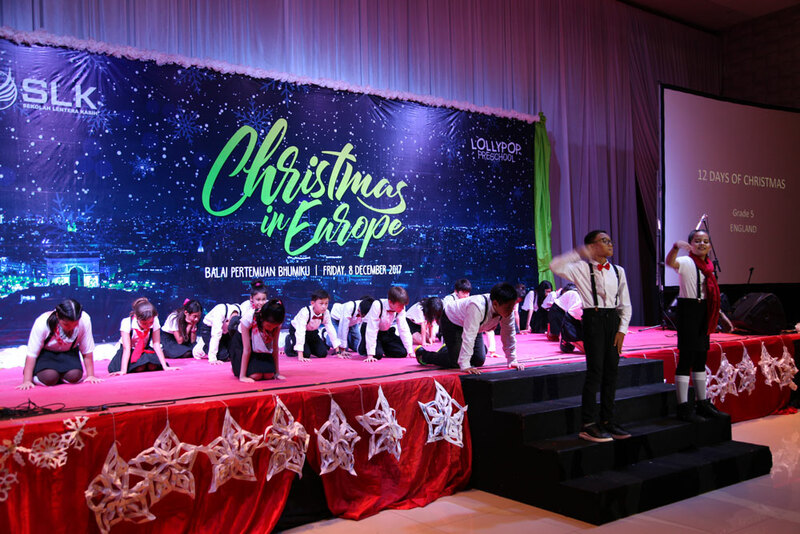 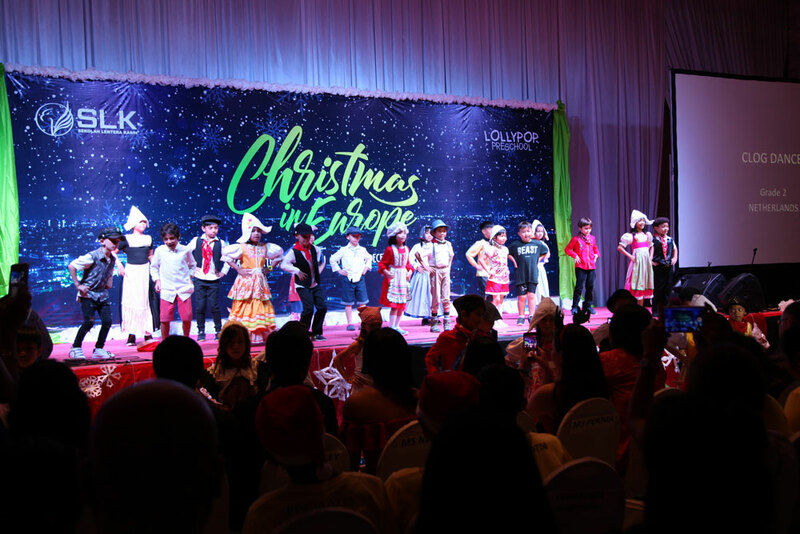 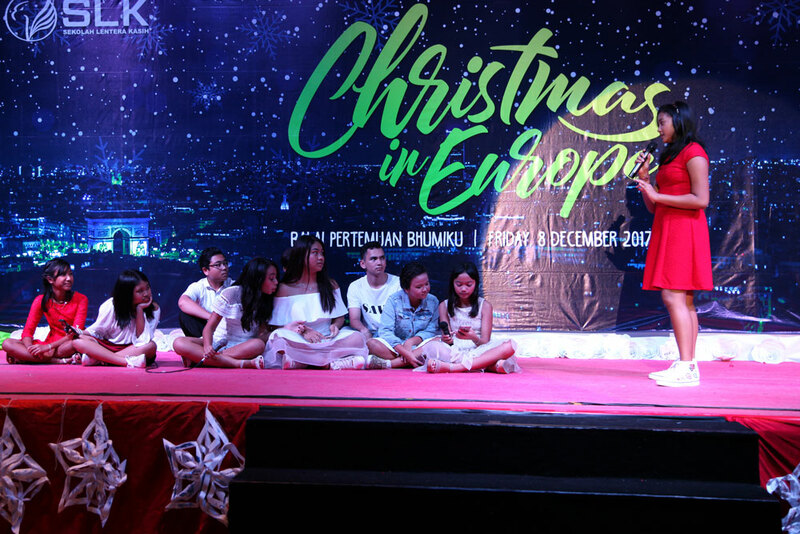 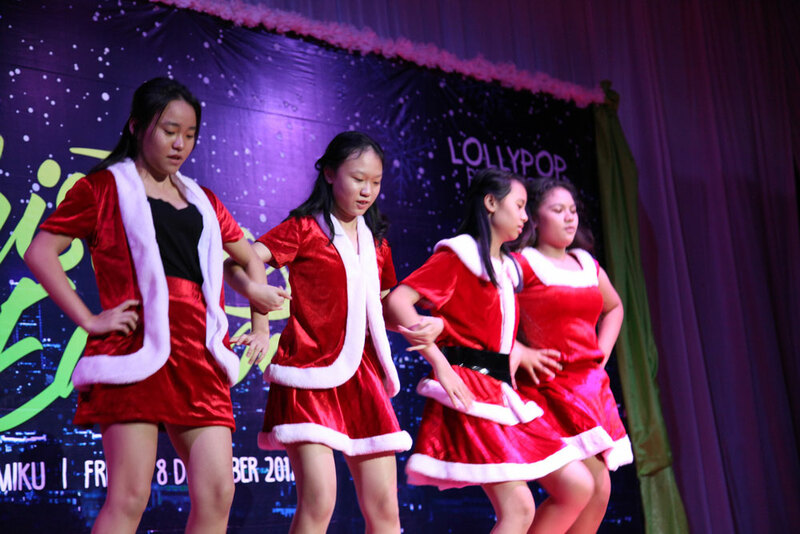 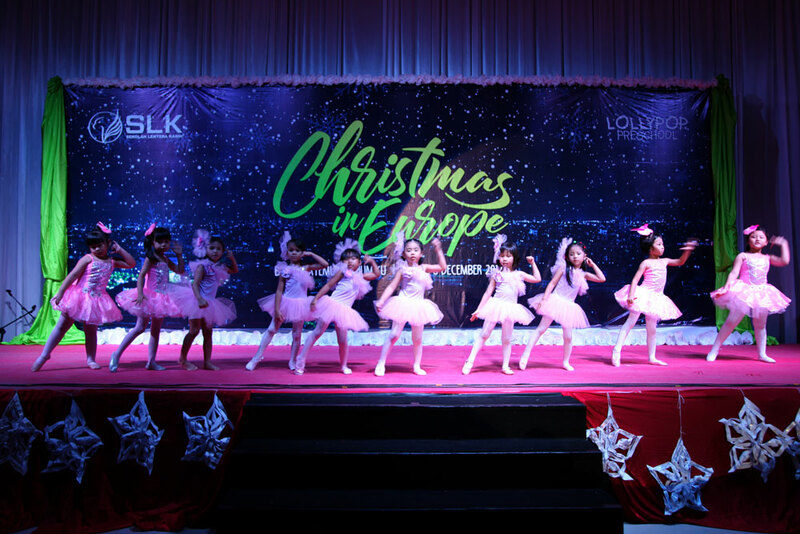 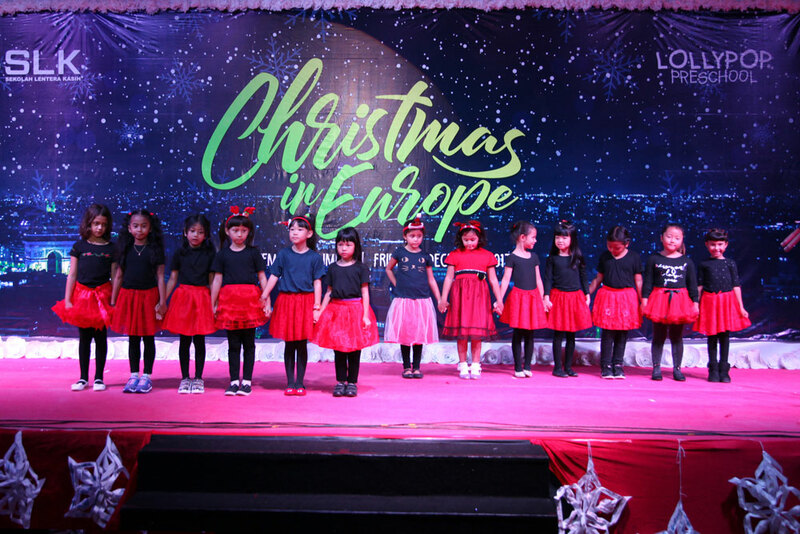 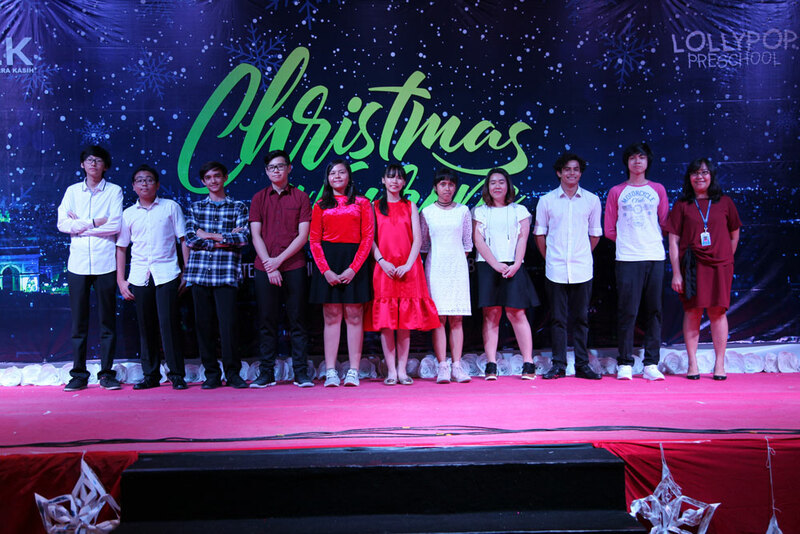 The first part was the Christmas Play by Lollypop entitled “The Little Match Girl“, followed by SLK’s “Christmas in Europe“. 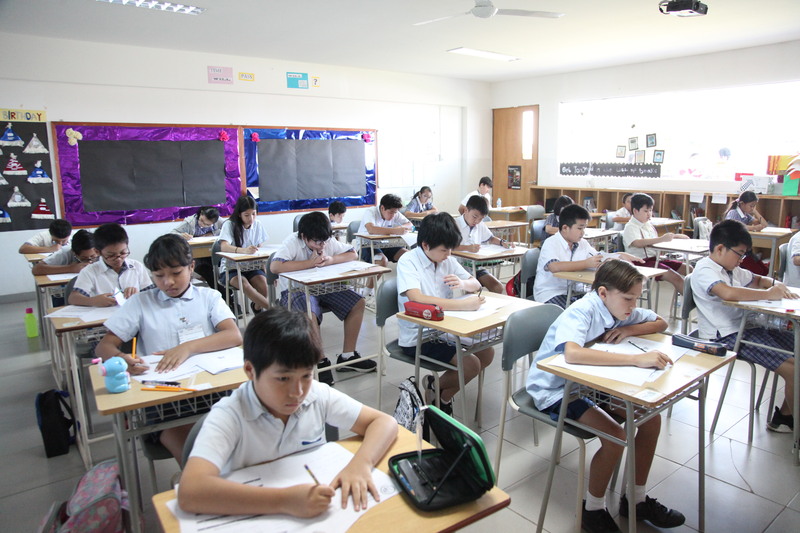 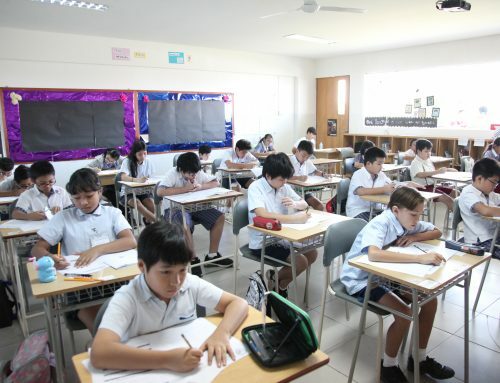 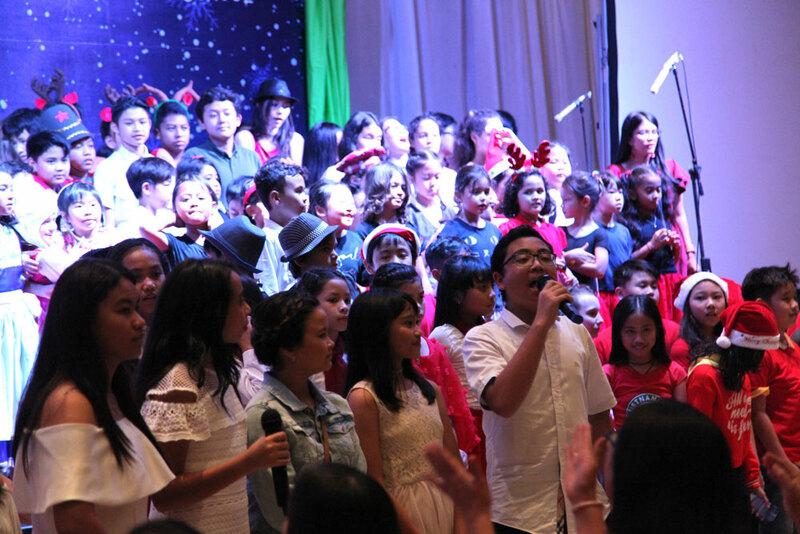 All of the students did an outstanding performance. 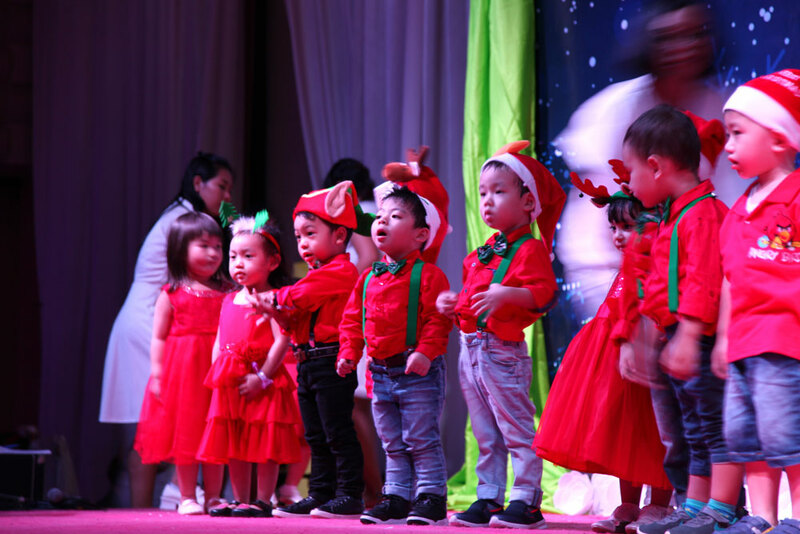 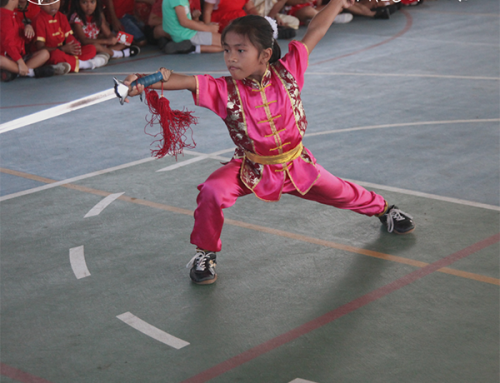 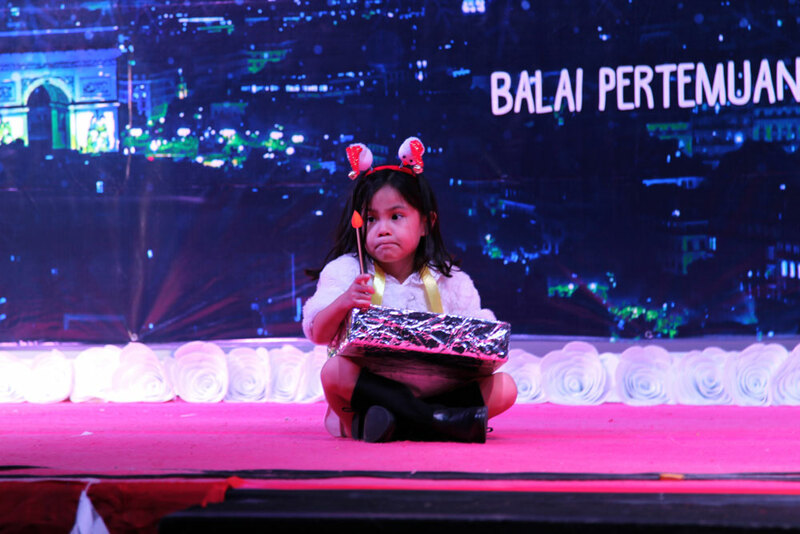 The preschool children danced to their parent’s enjoyment and to their teachers delight. 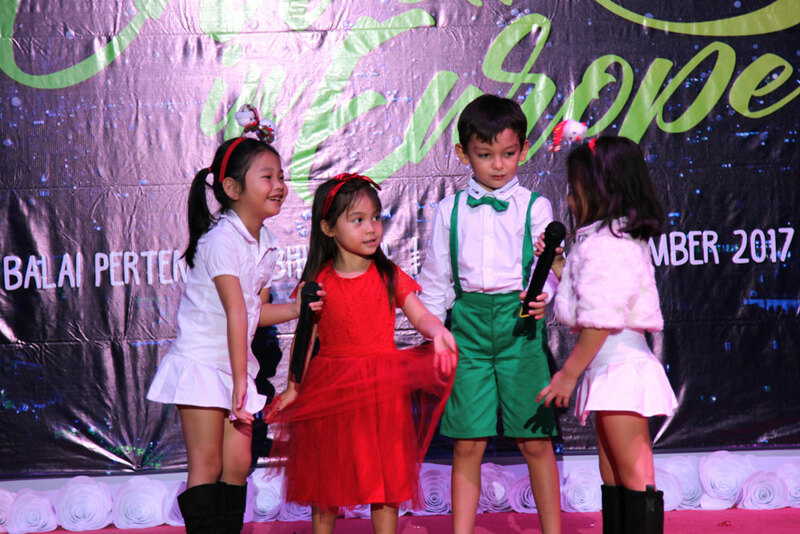 They looked amazing in their cute costumes and props. 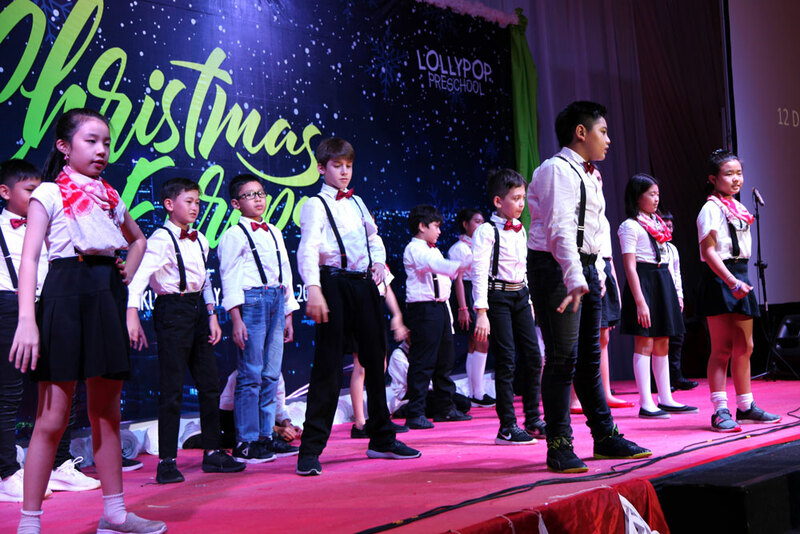 The Lollyopop Choir and the Ballet ex-cul did a great job, too. 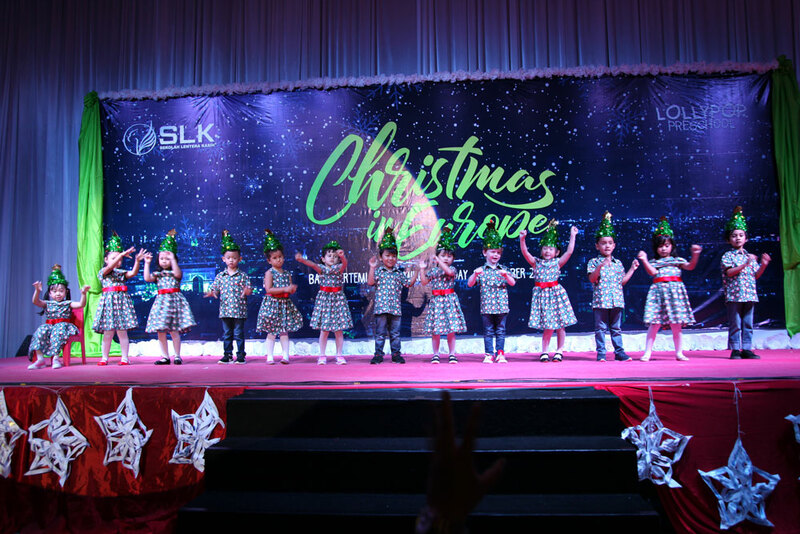 The SLK students showcased their talents through their songs and dances. 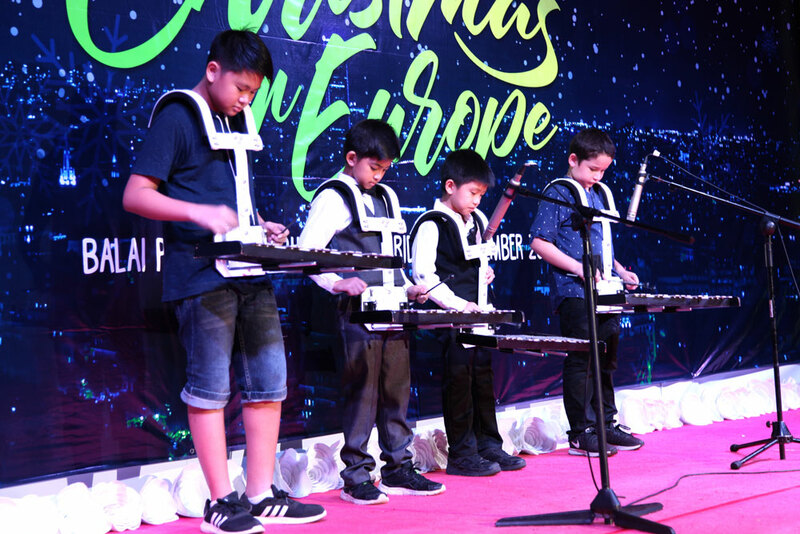 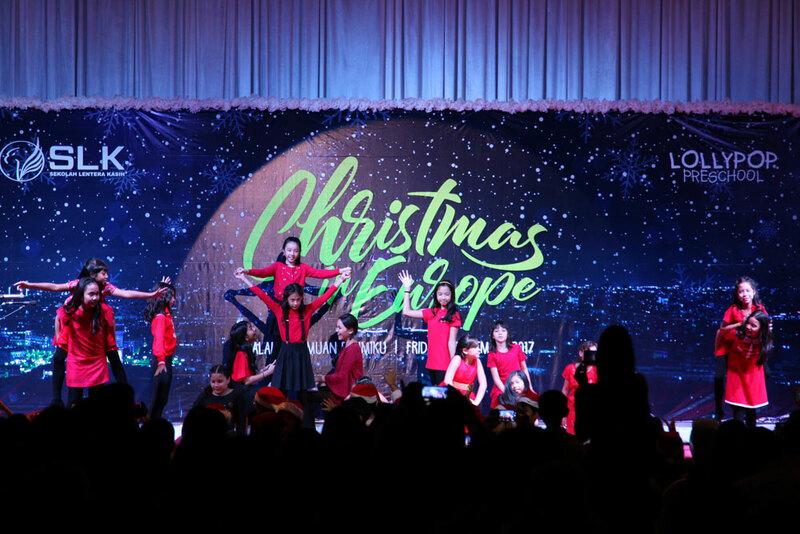 They brought the audience around Europe seeking for the true meaning of Christmas. 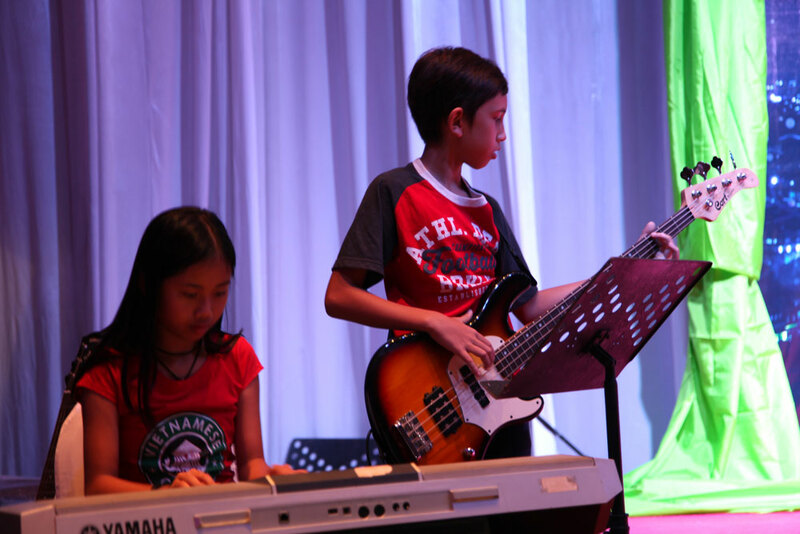 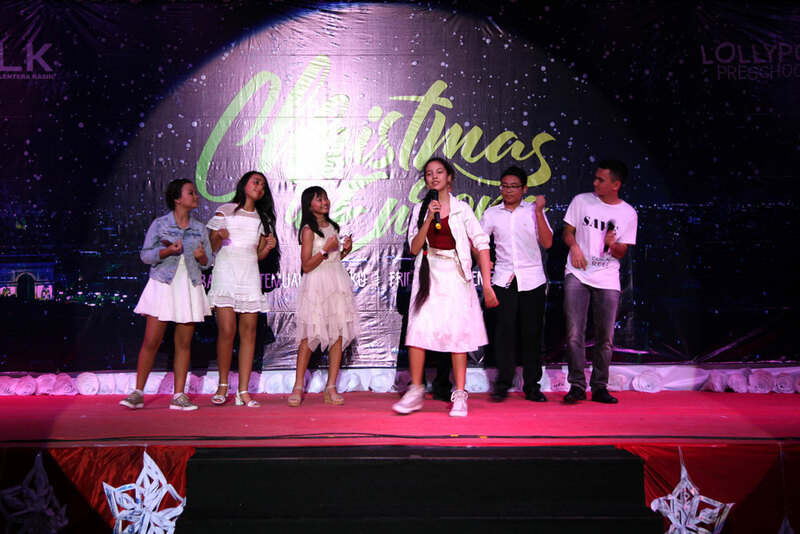 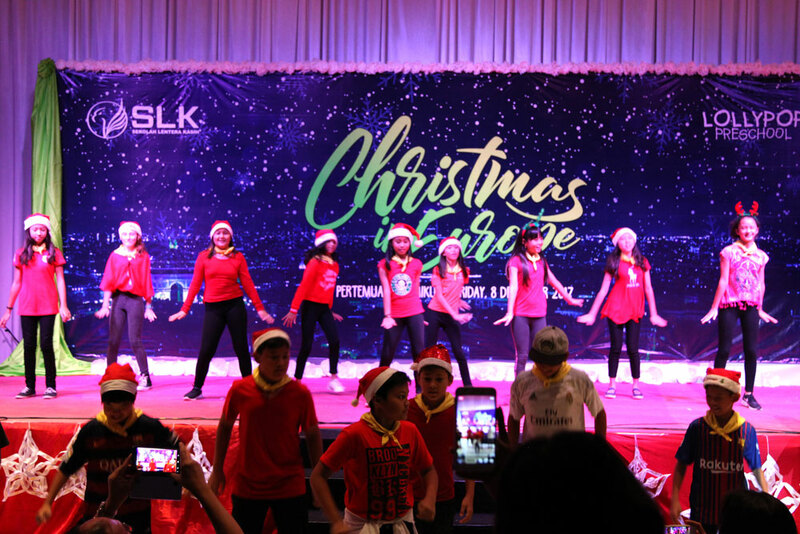 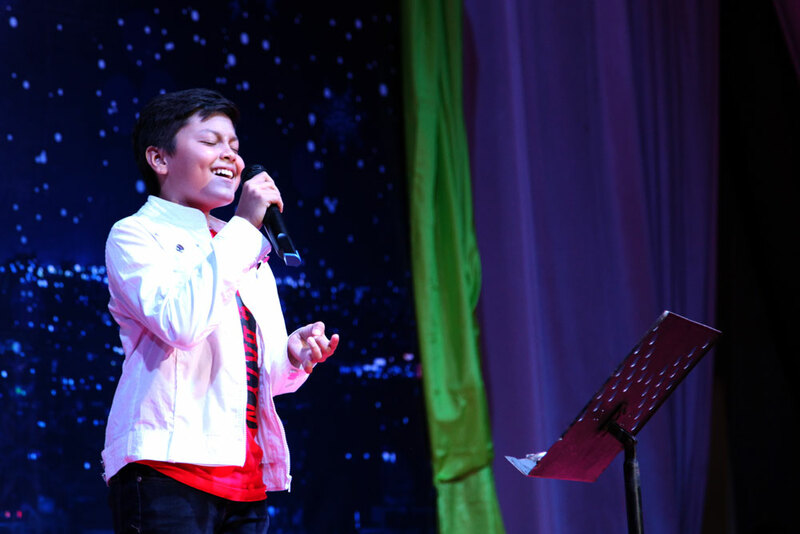 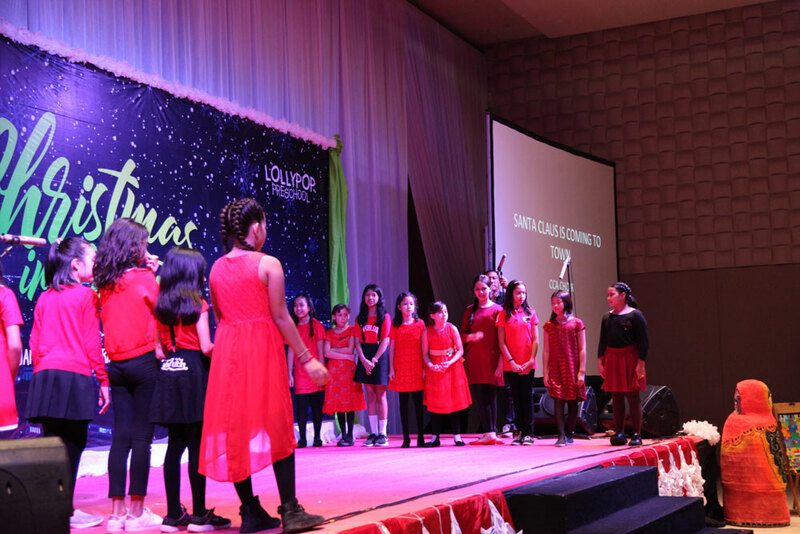 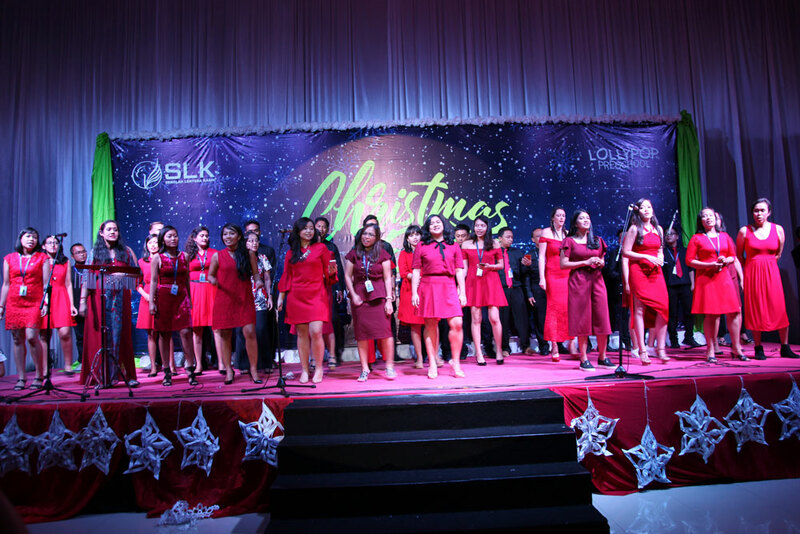 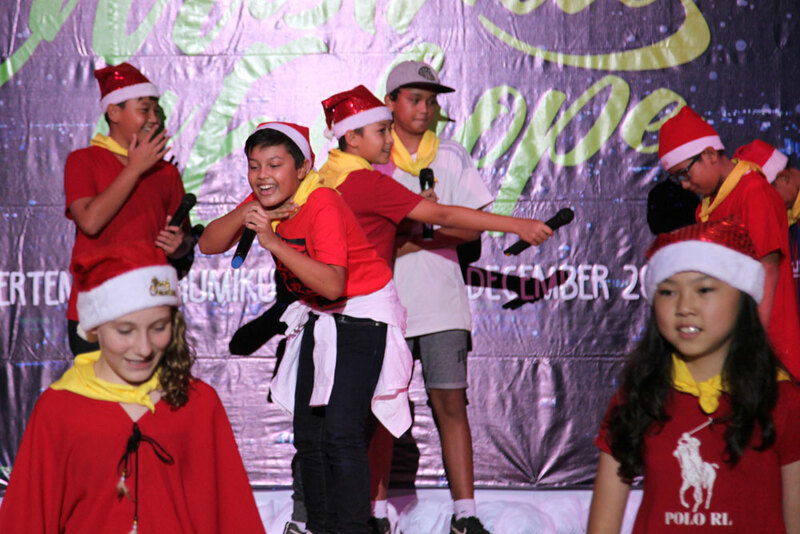 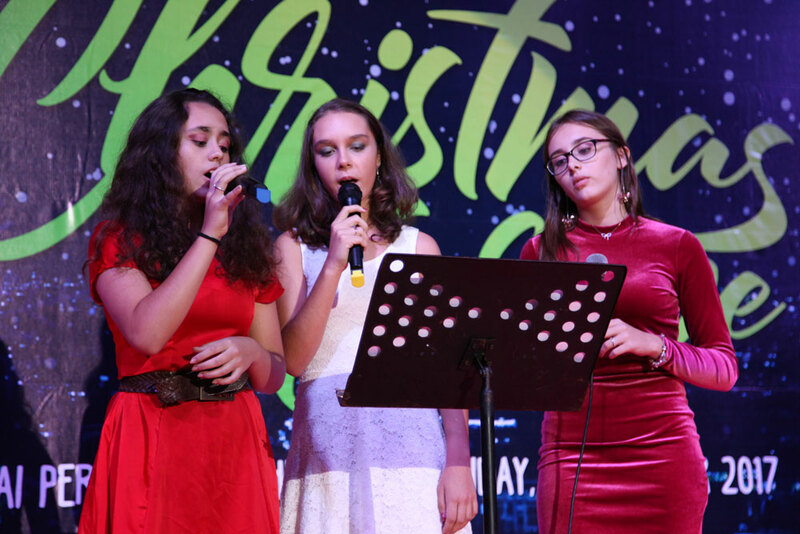 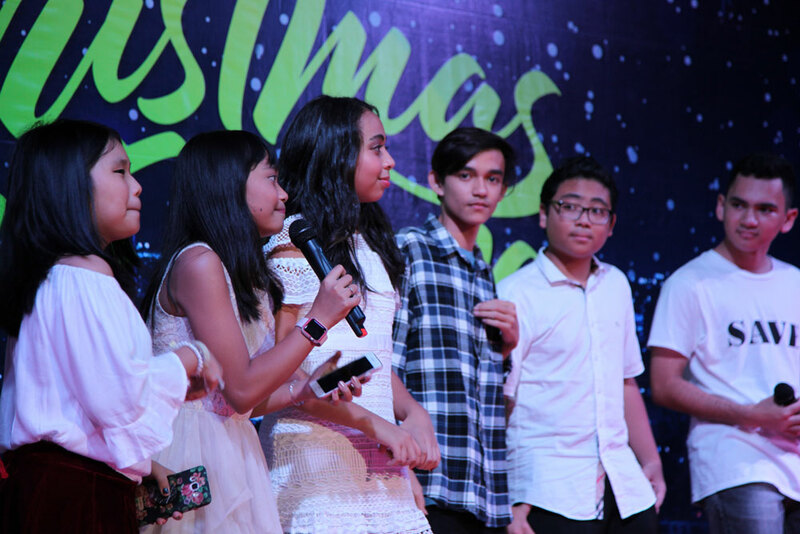 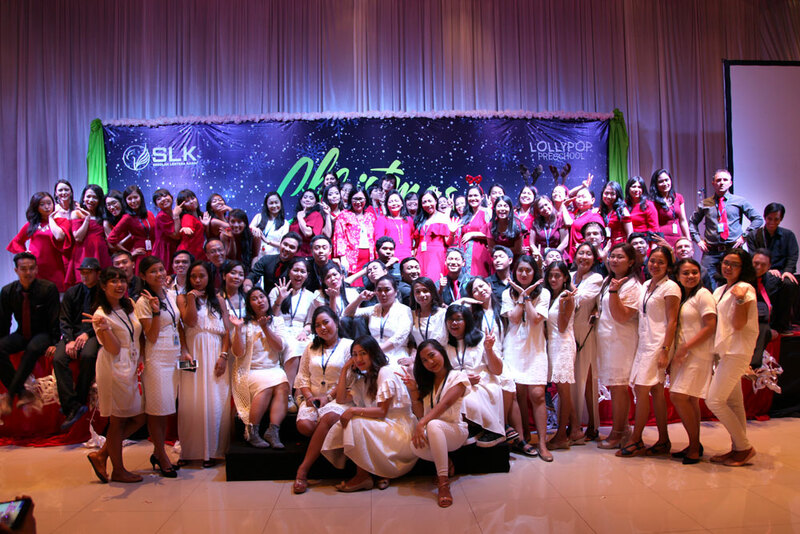 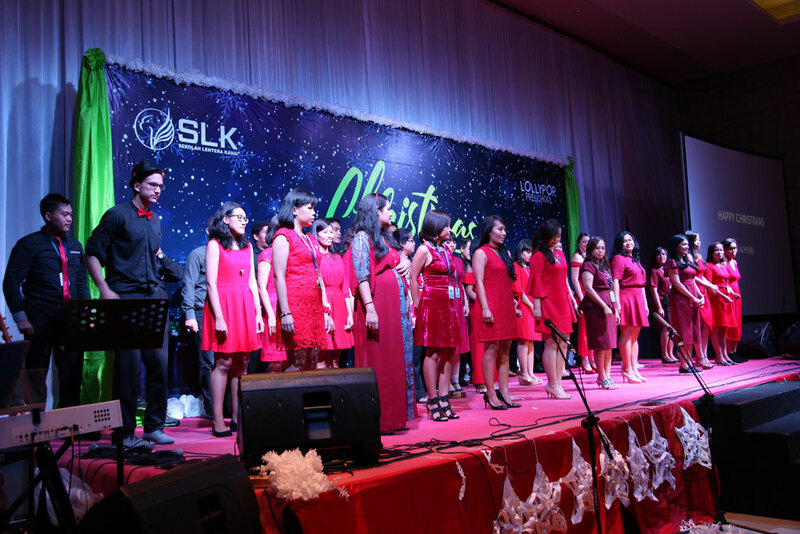 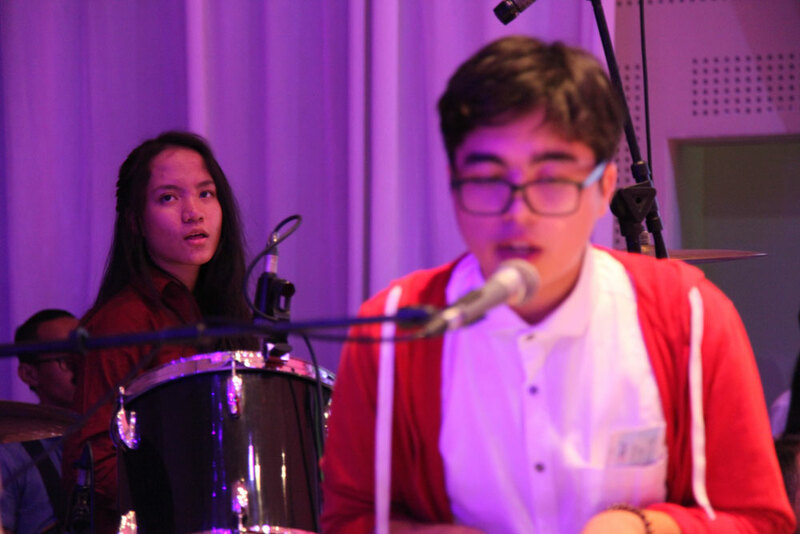 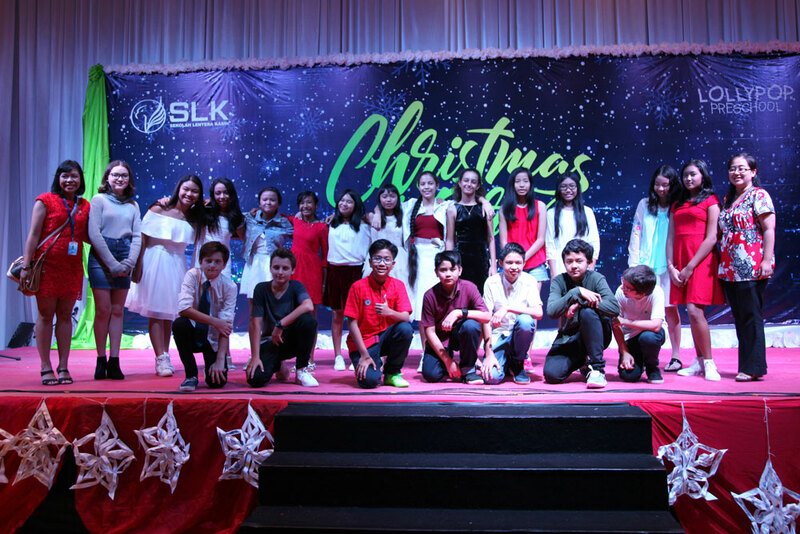 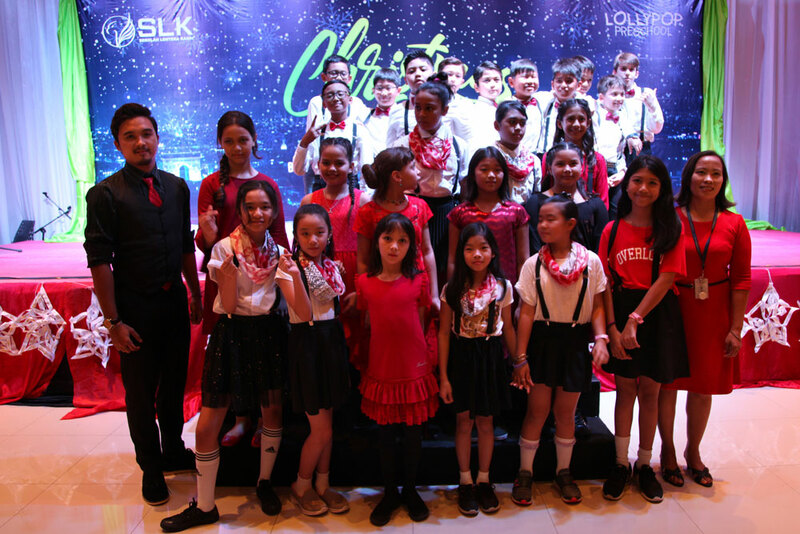 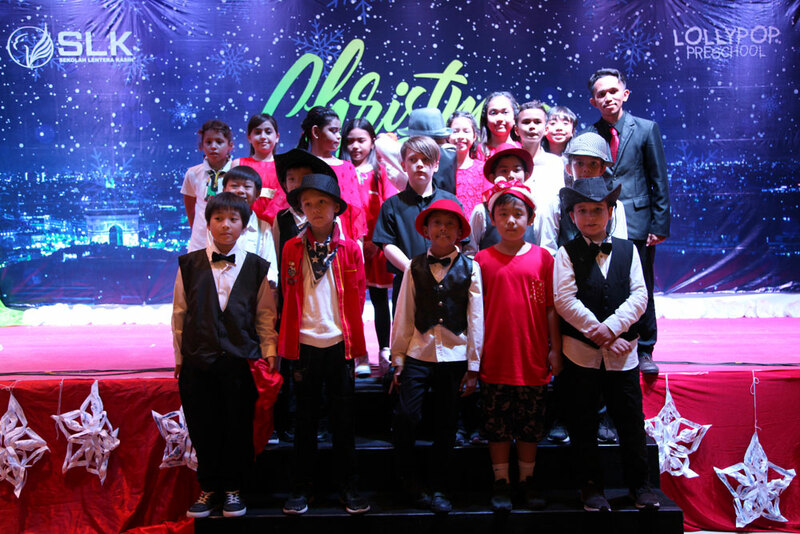 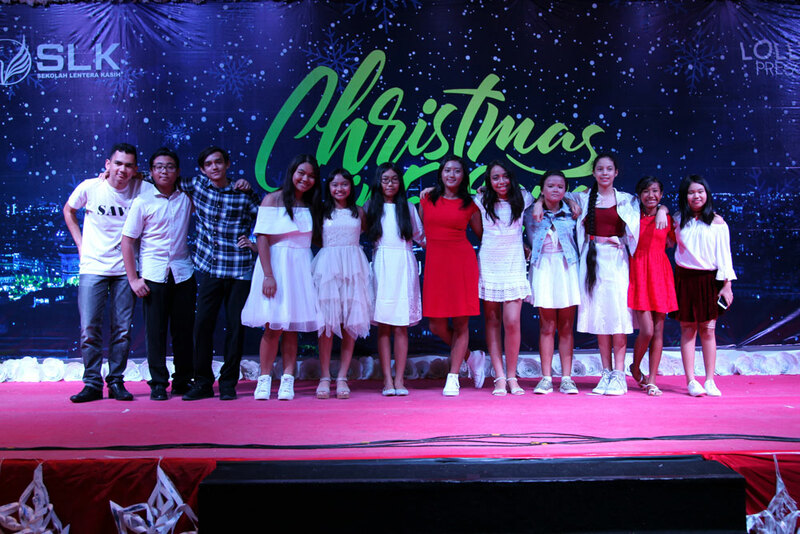 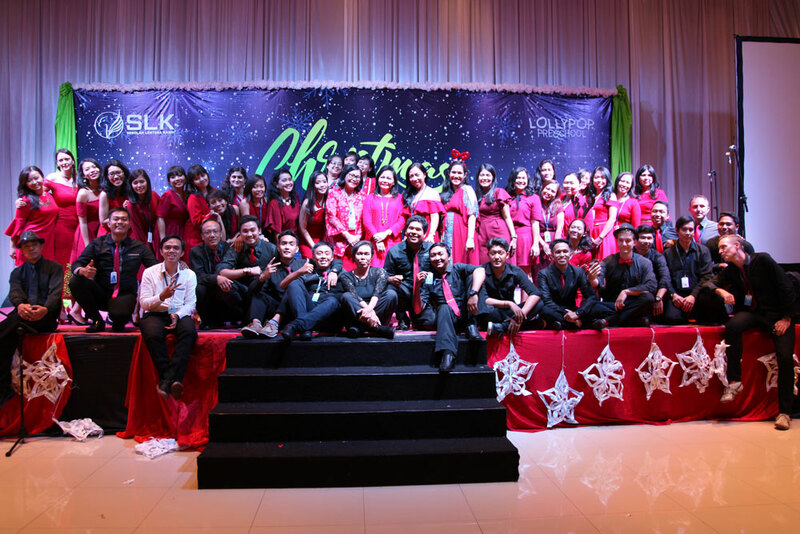 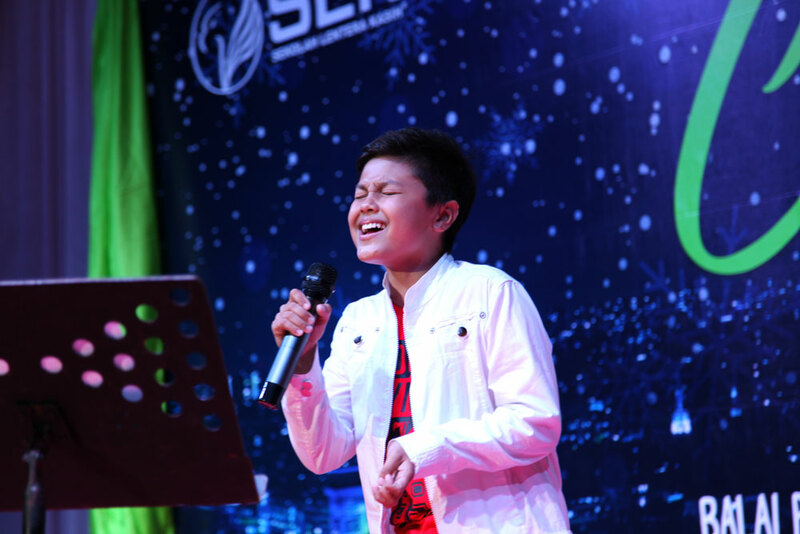 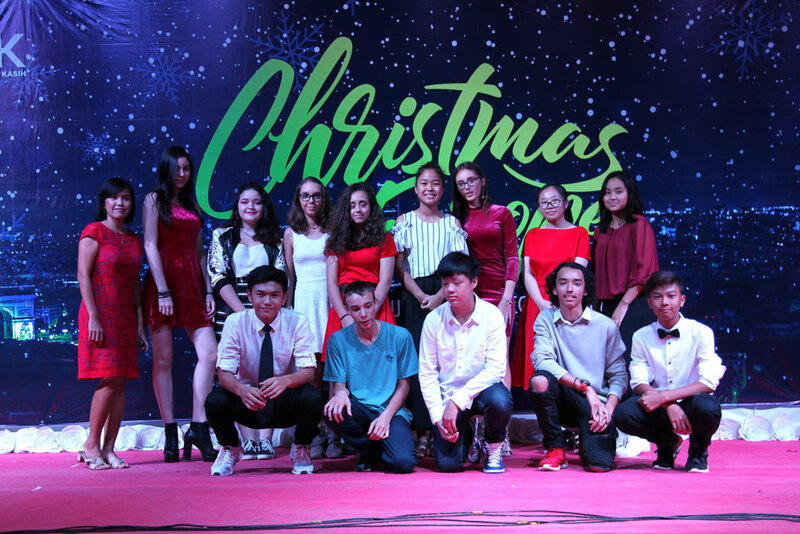 The mommies gave an outstanding performance and the teachers of SLK showed everyone that not only the students have the knack for singing and dancing but their mentors as well. 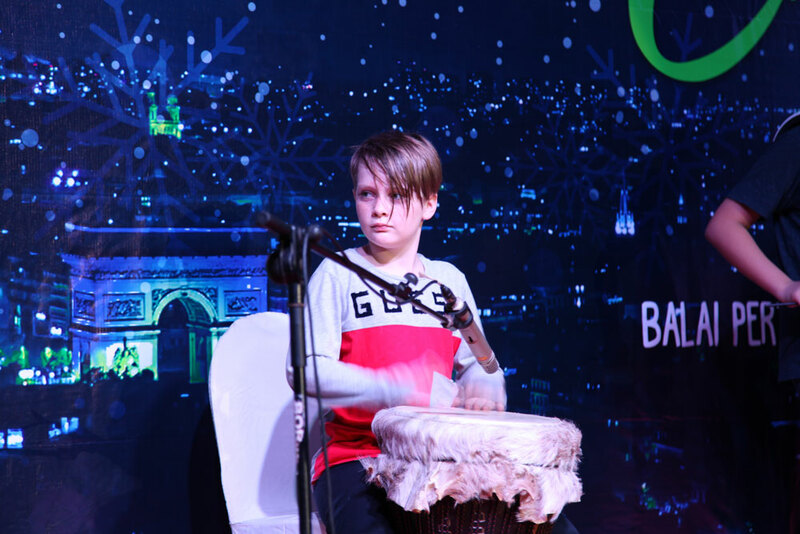 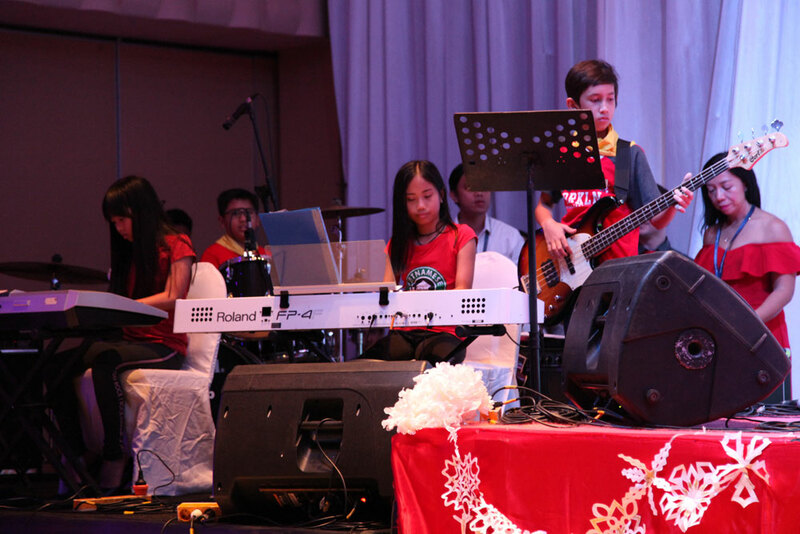 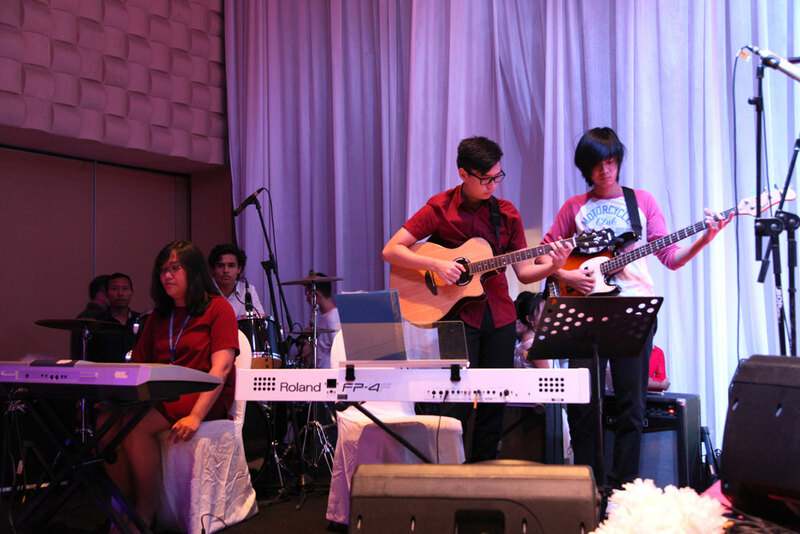 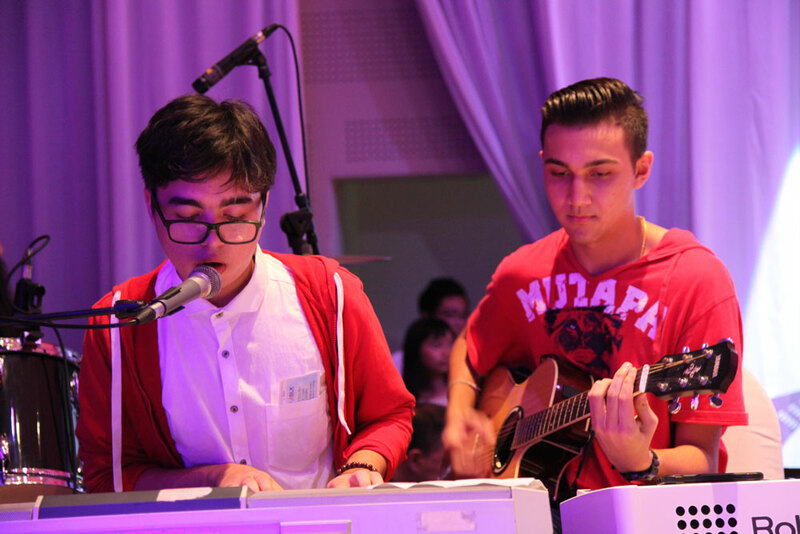 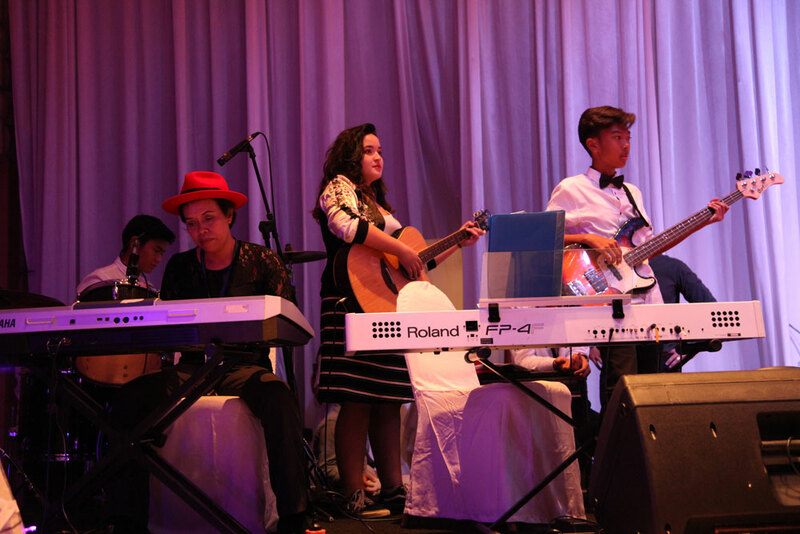 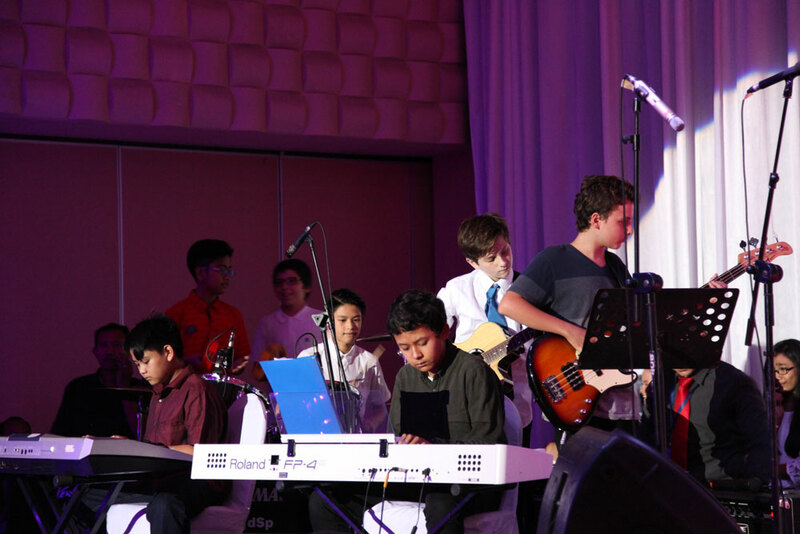 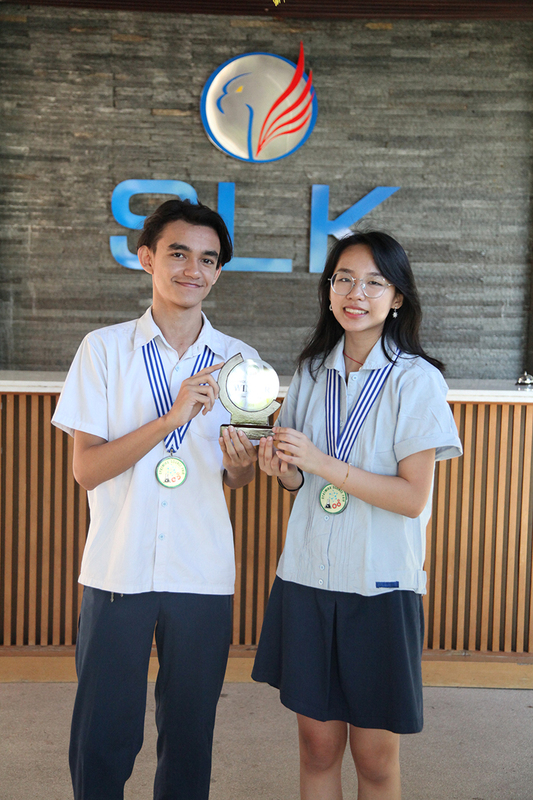 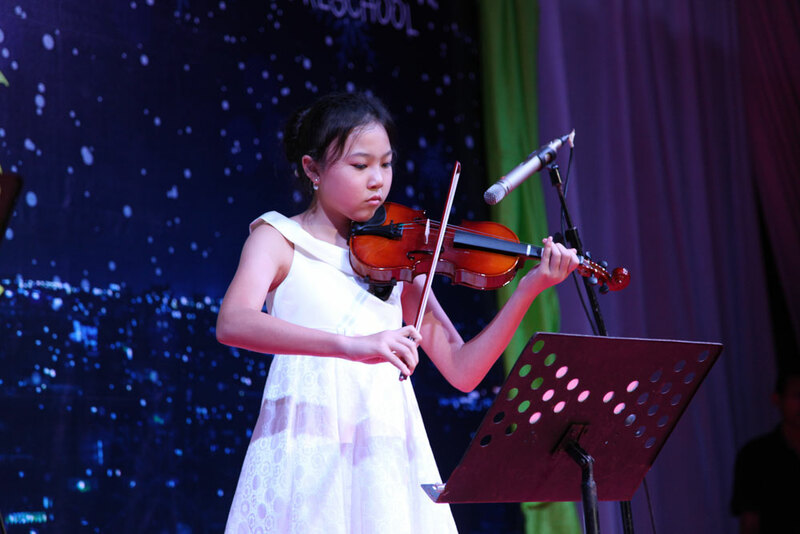 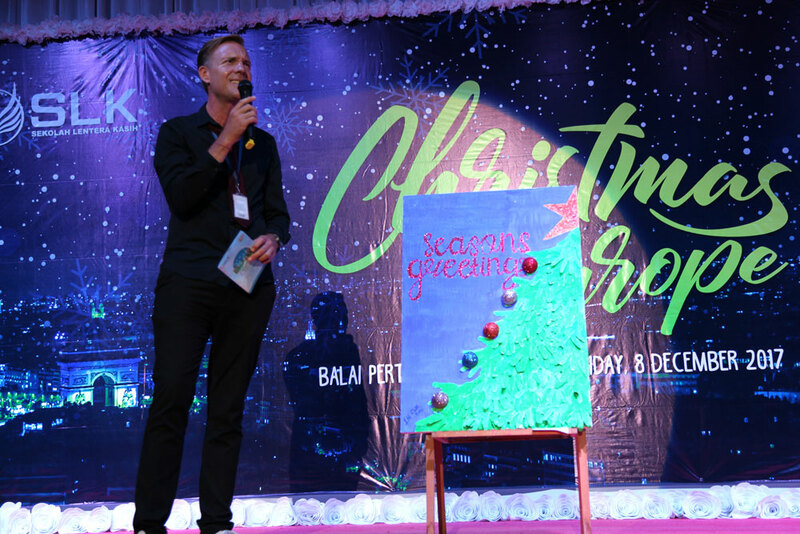 During the said concert some selected artworks of SLK students were auctioned. 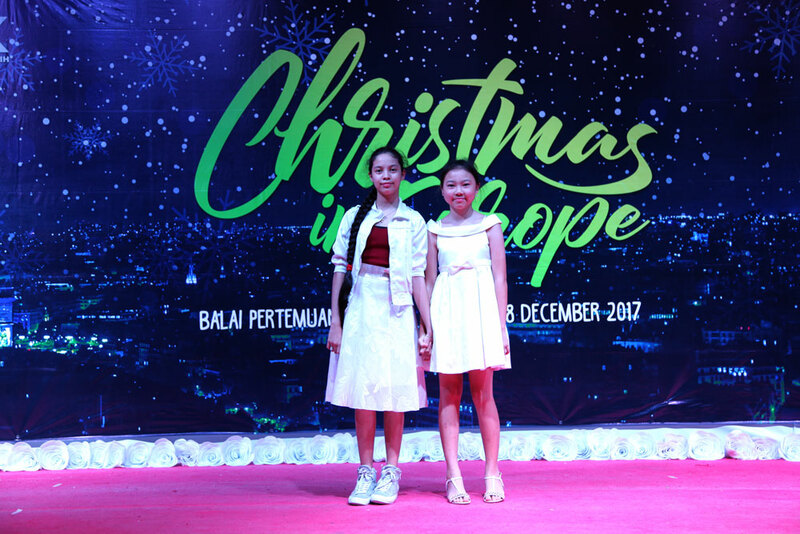 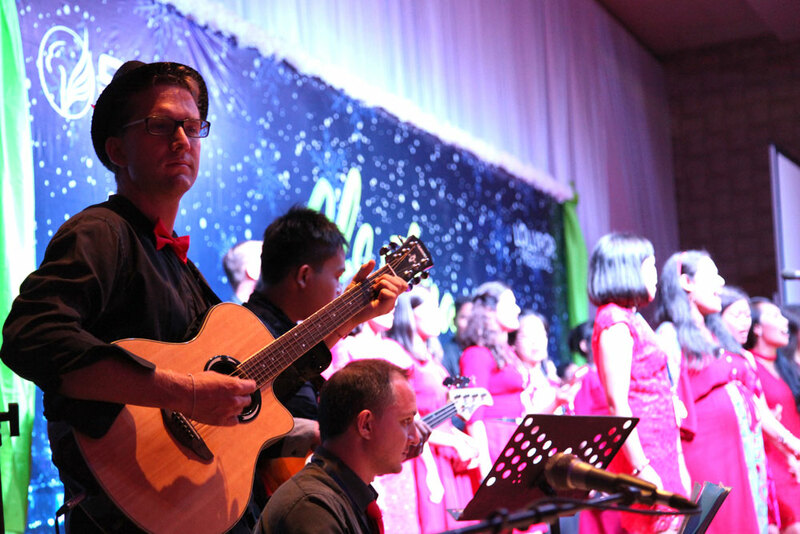 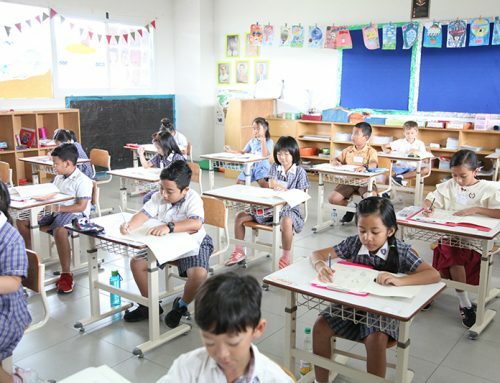 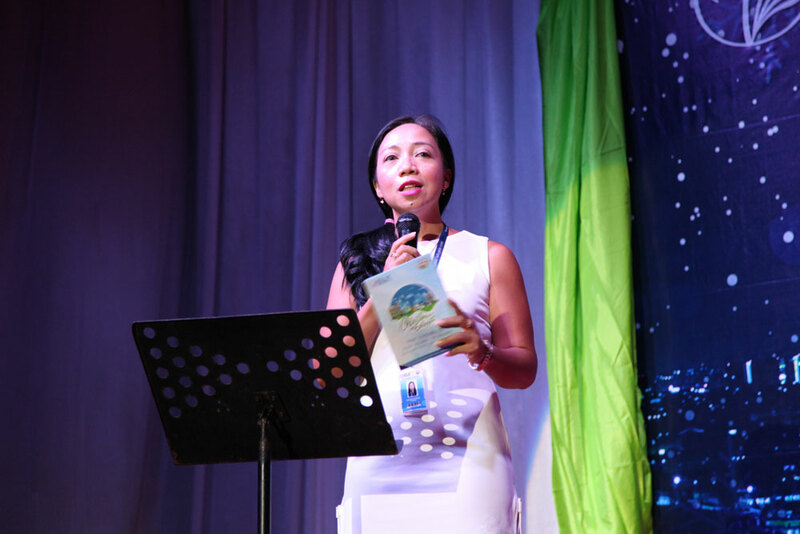 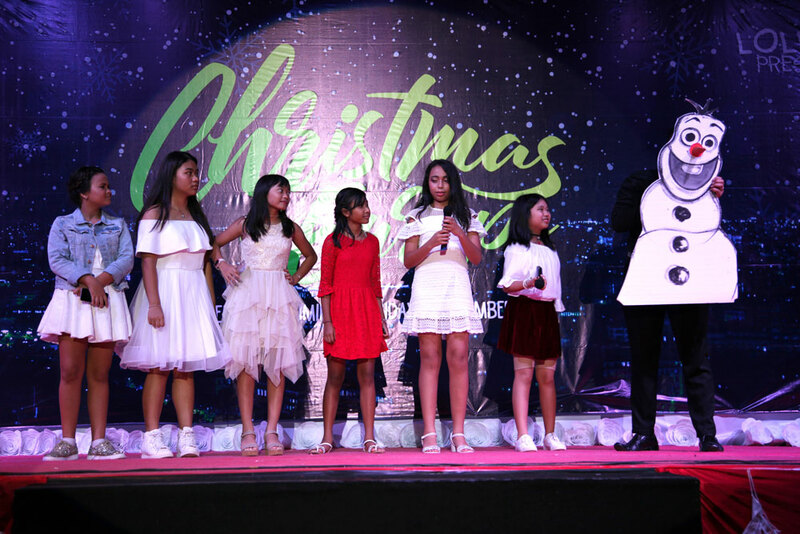 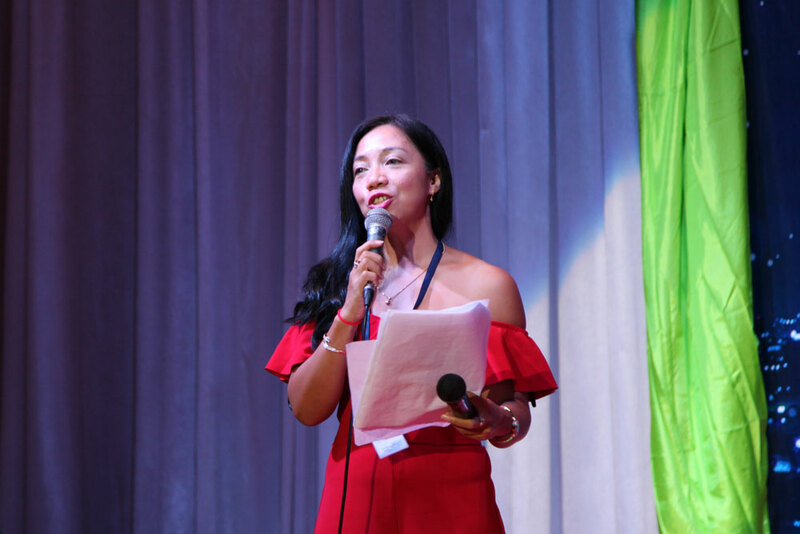 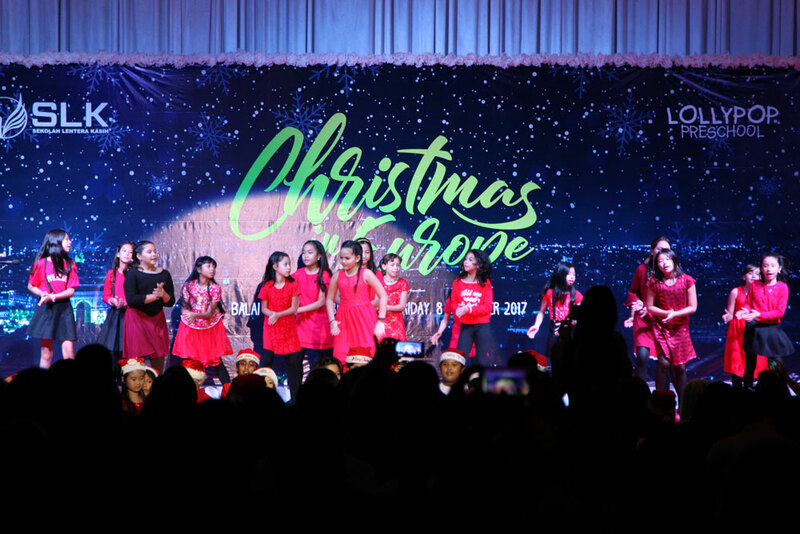 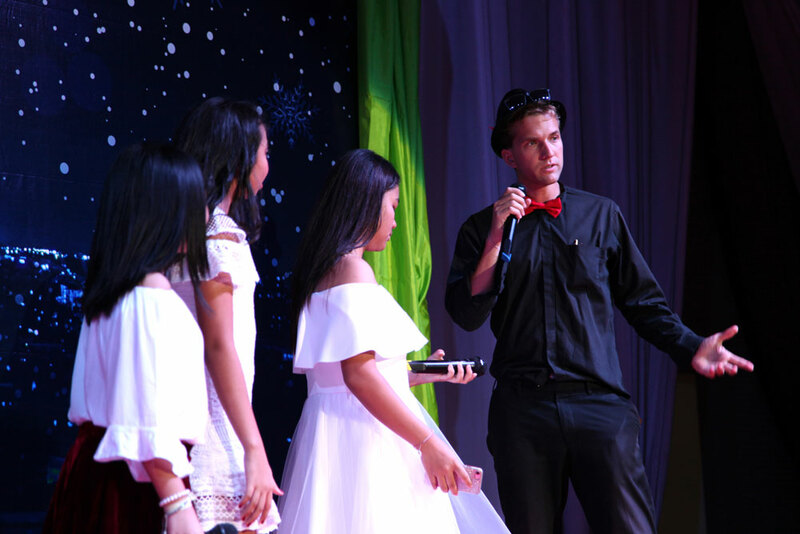 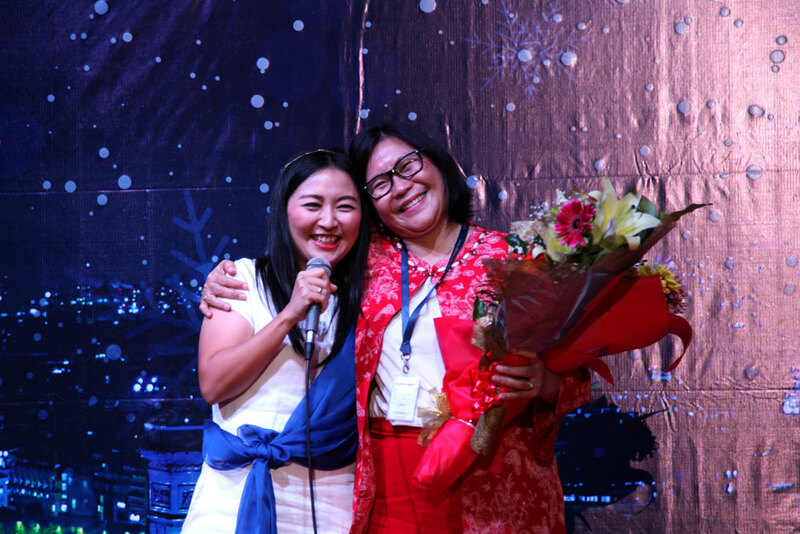 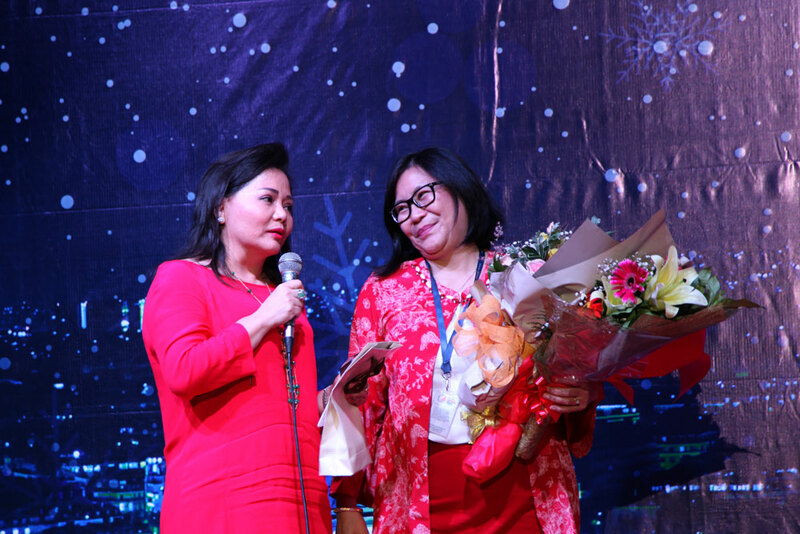 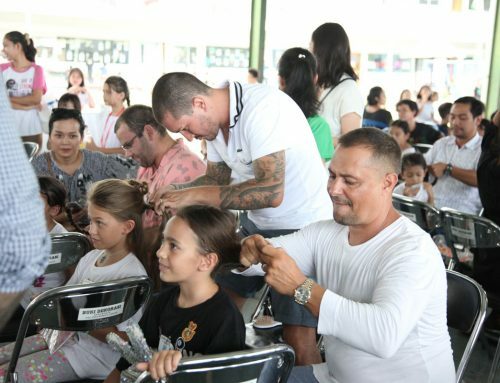 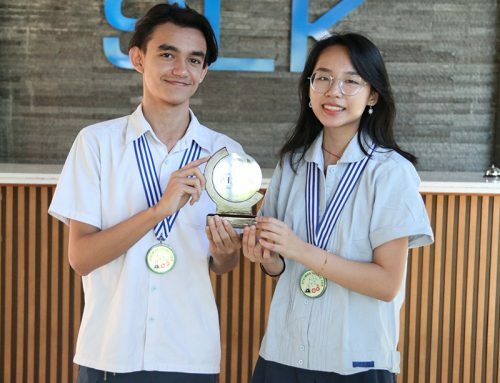 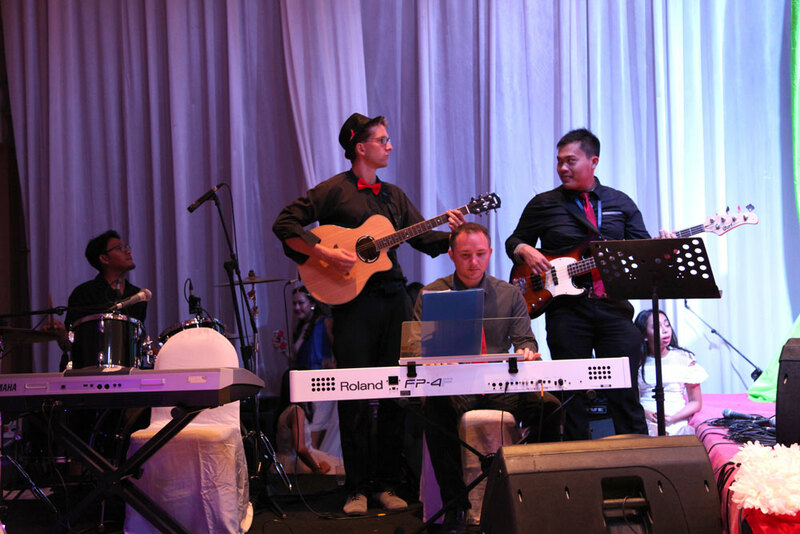 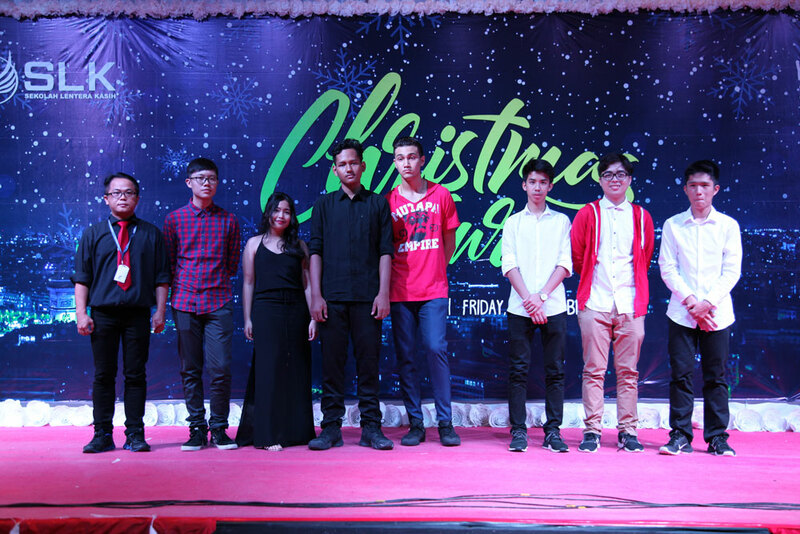 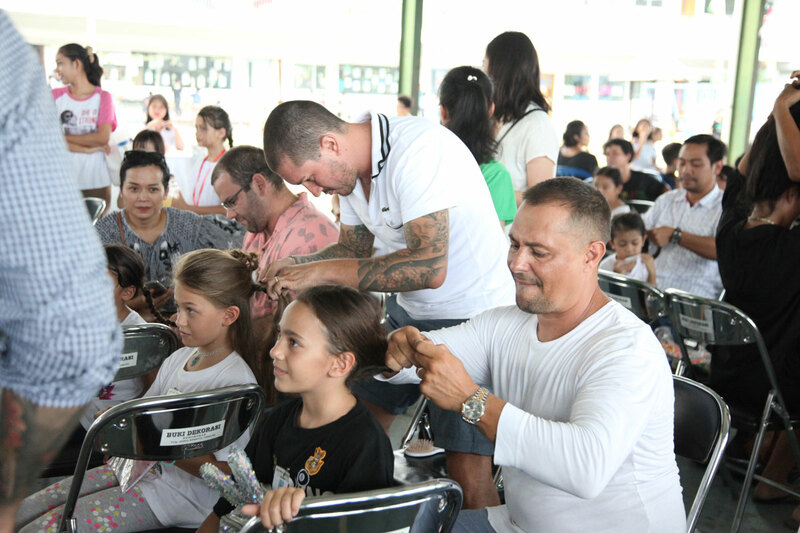 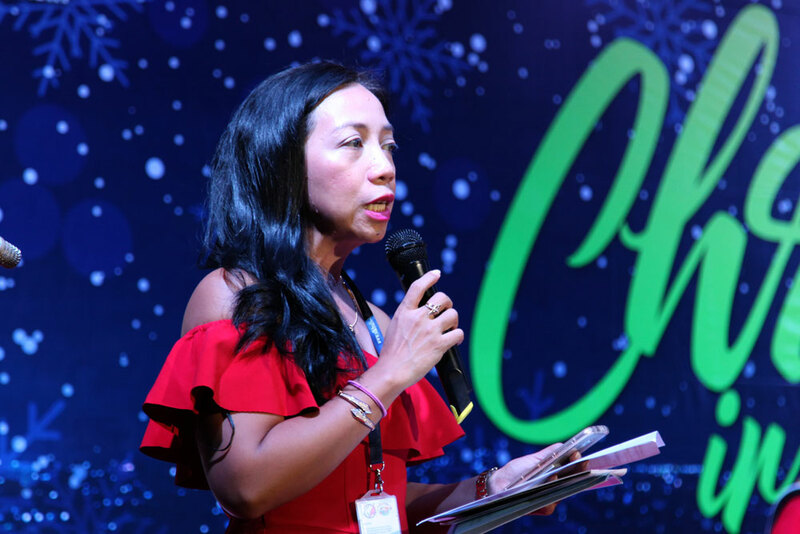 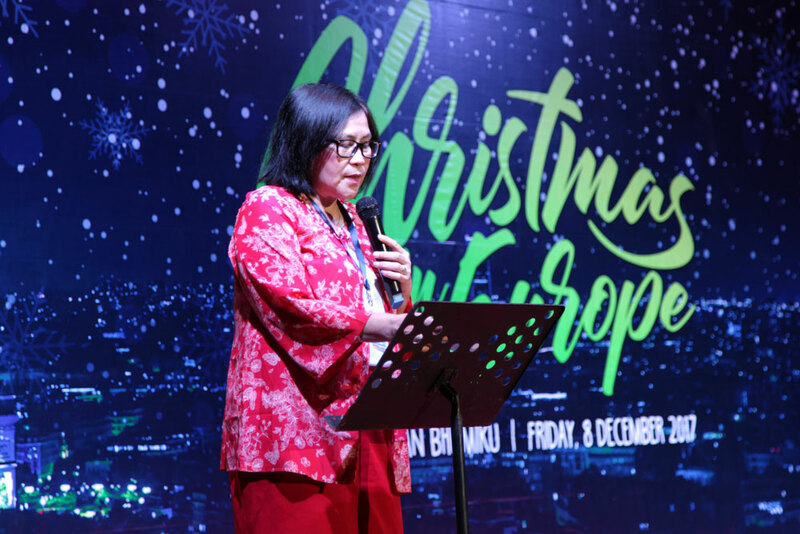 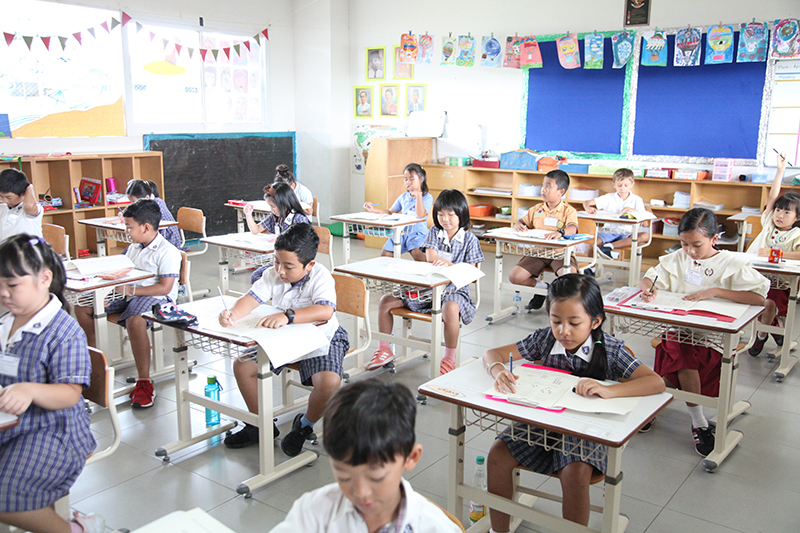 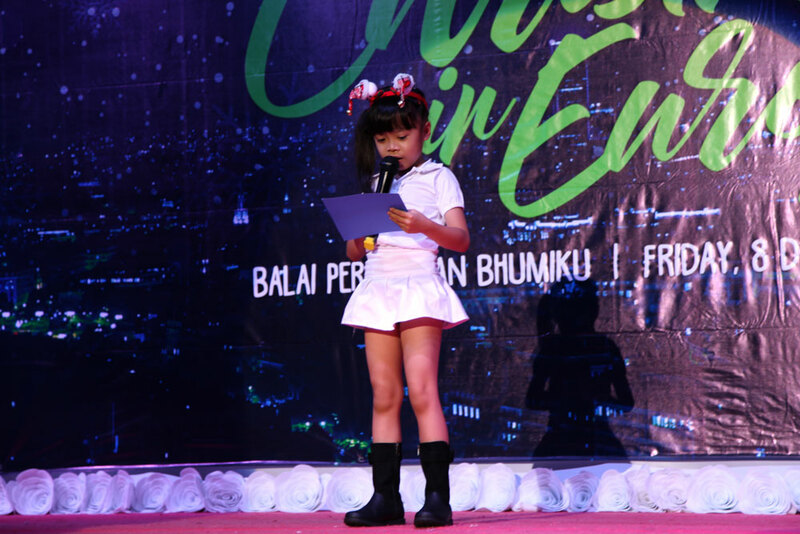 The proceeds went to the victims of Mt Agung eruption and to the Compassion International, a child-advocacy ministry that pairs compassionate people with those who are suffering from poverty. 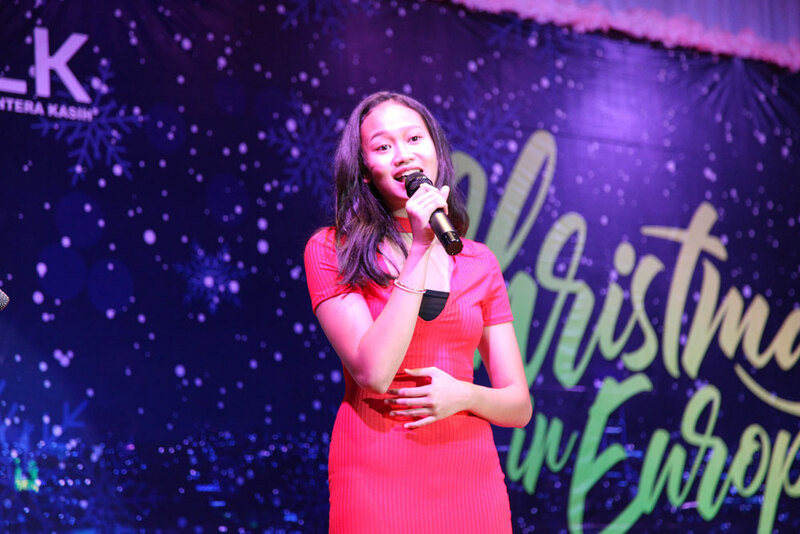 Indeed, Christmas is really just around the corner!